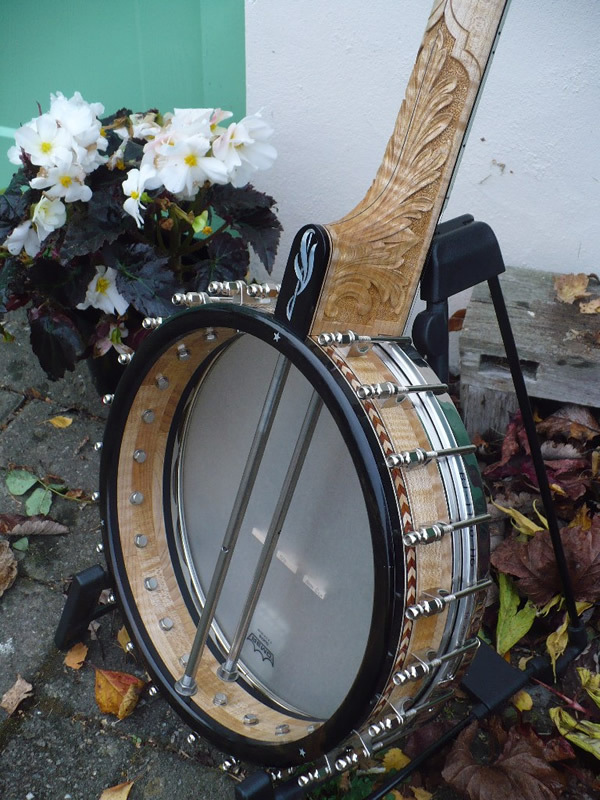 GB 190, English applewood and ebony with Whyte Laydie tone ring and frailing scoop. 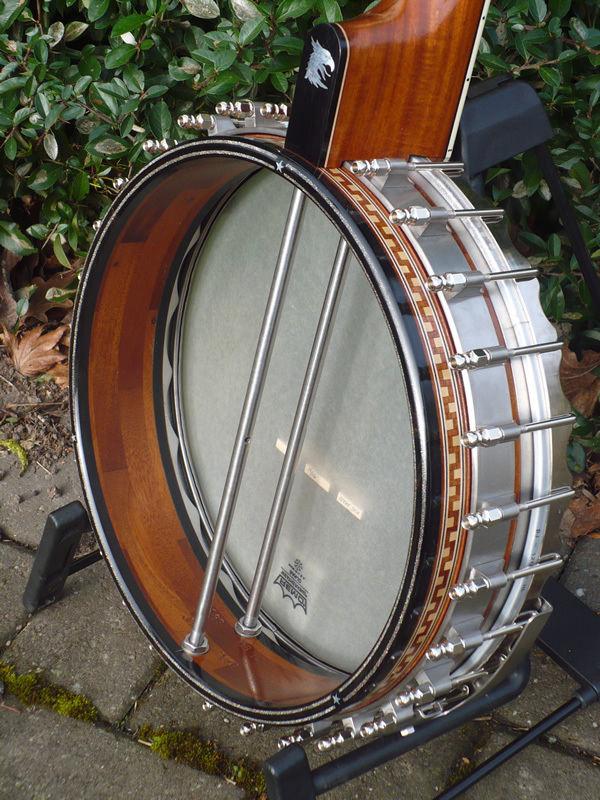 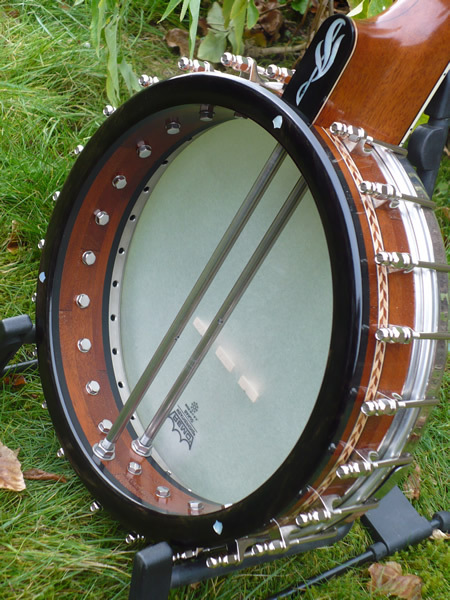 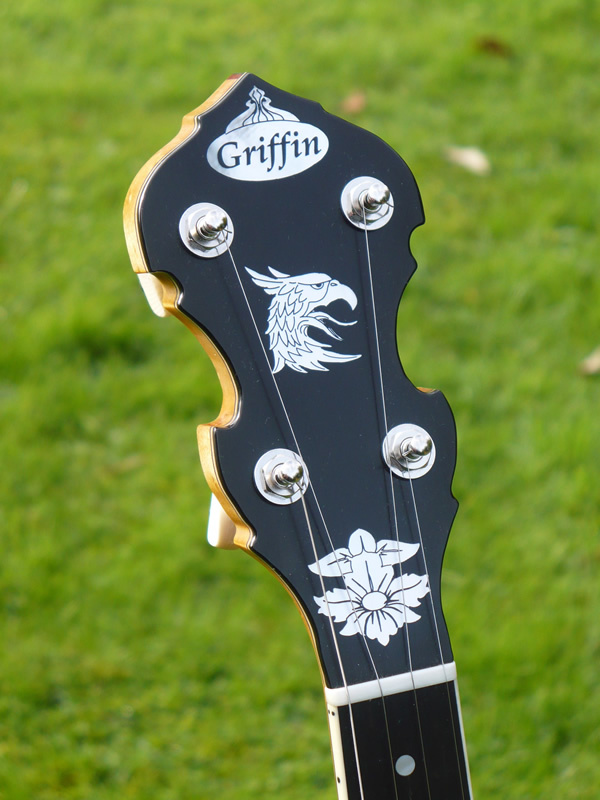 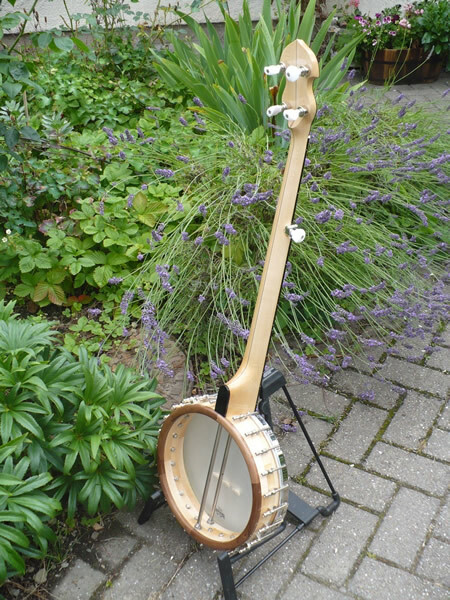 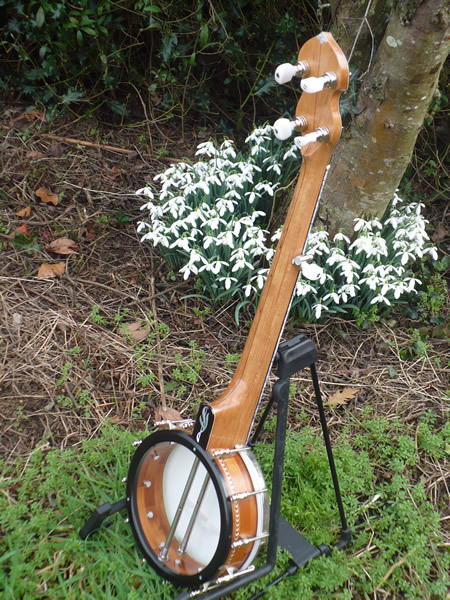 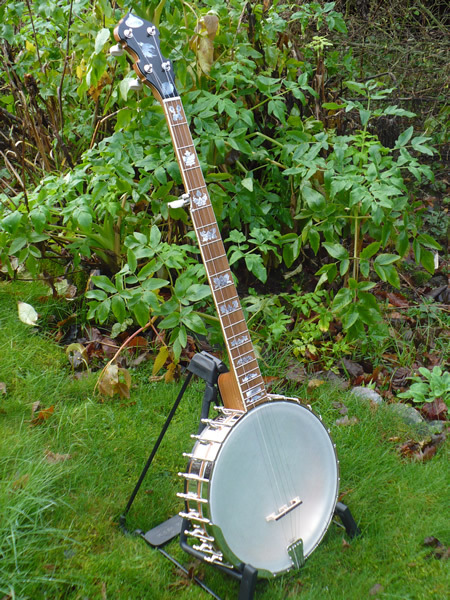 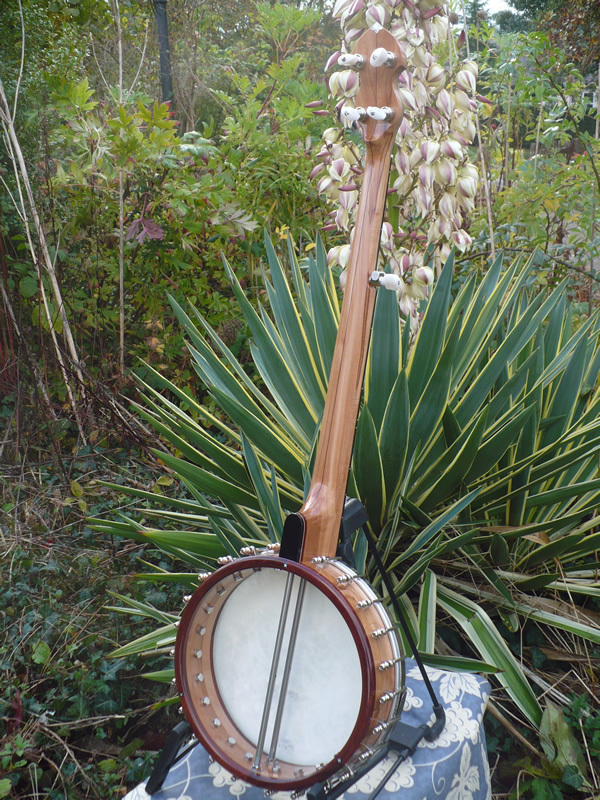 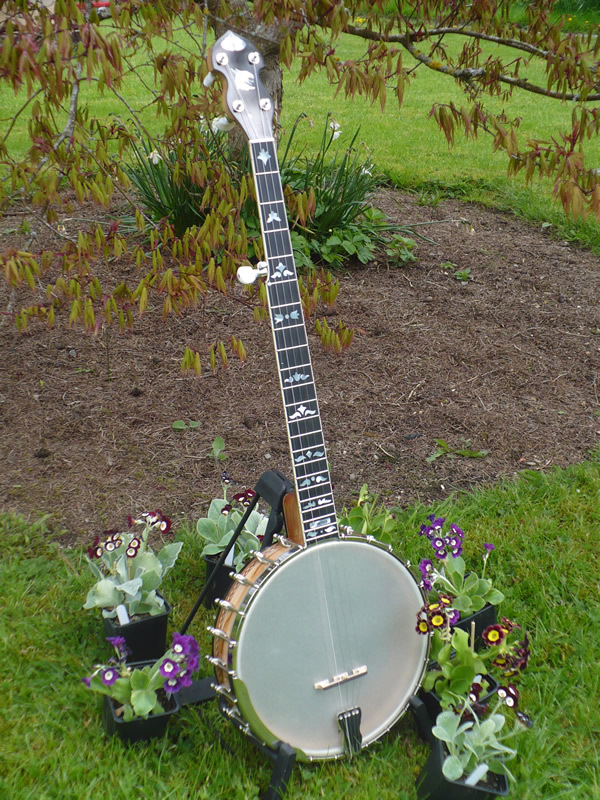 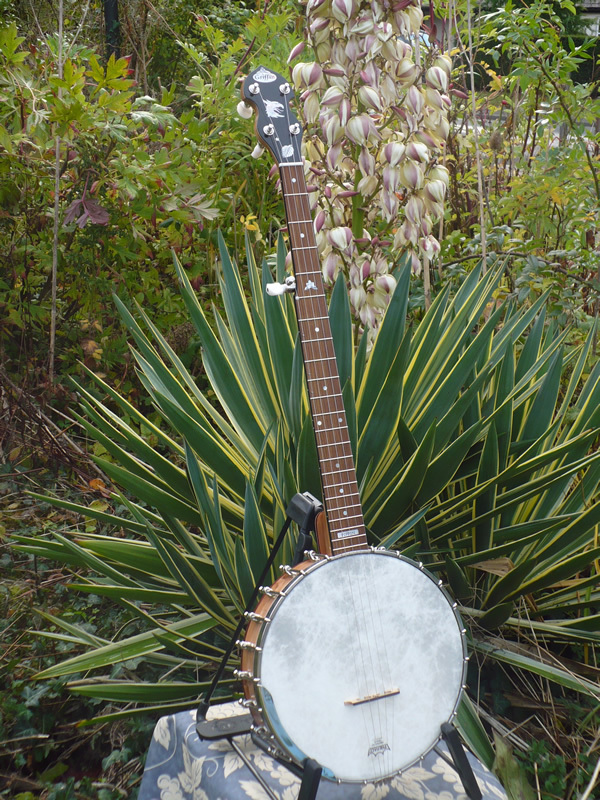 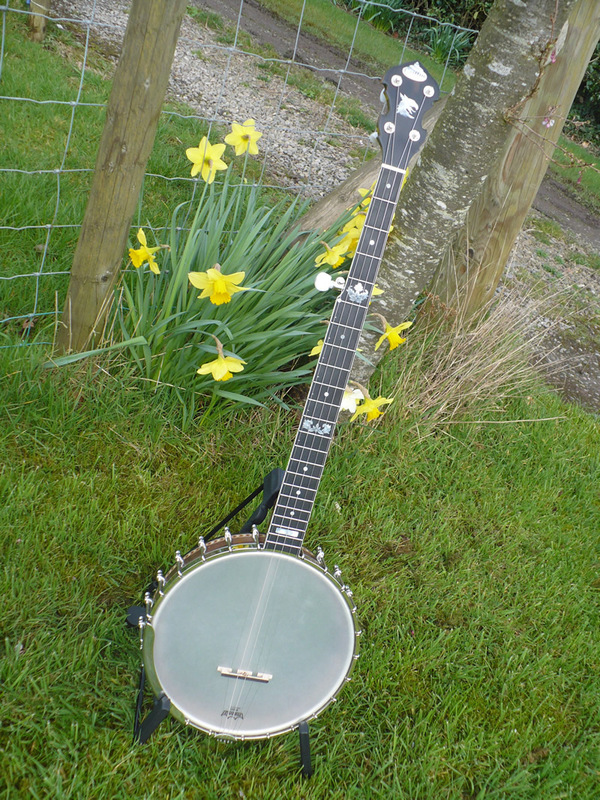 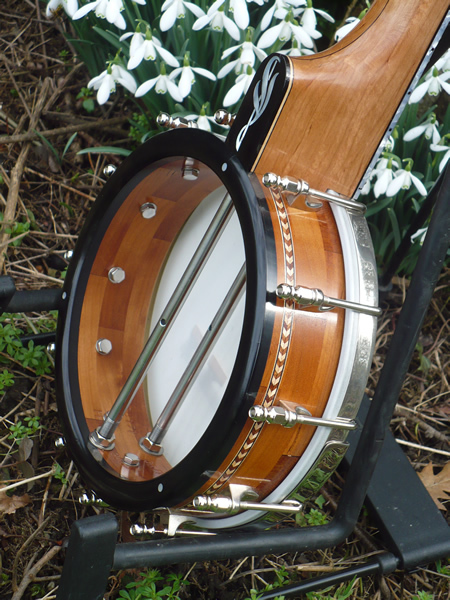 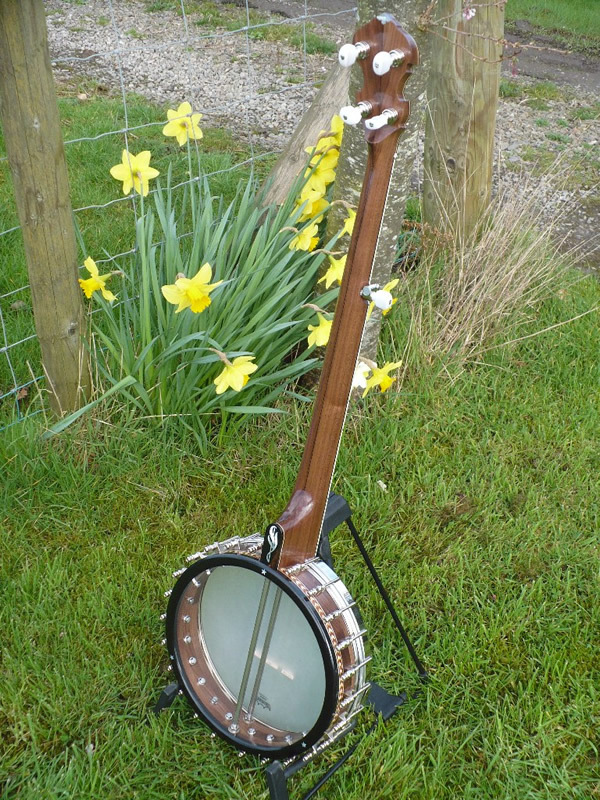 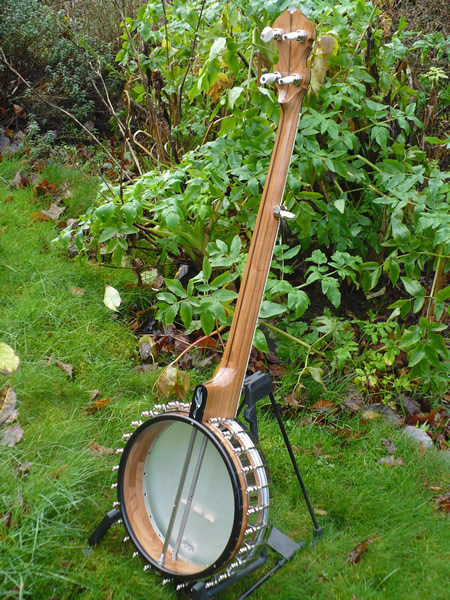 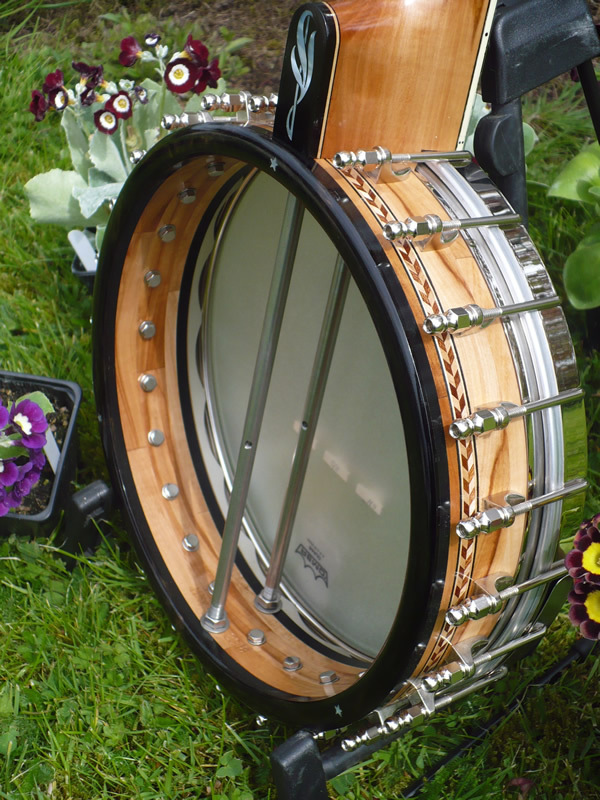 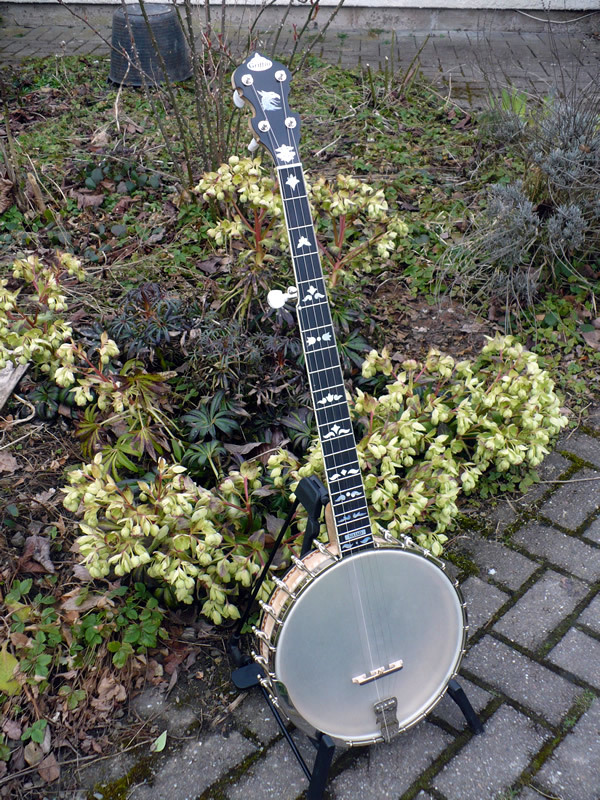 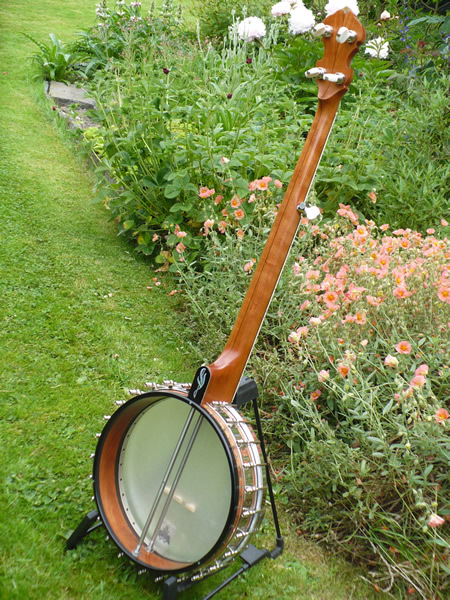 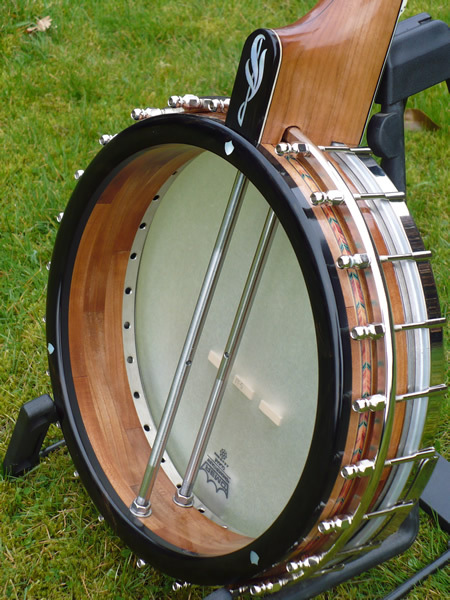 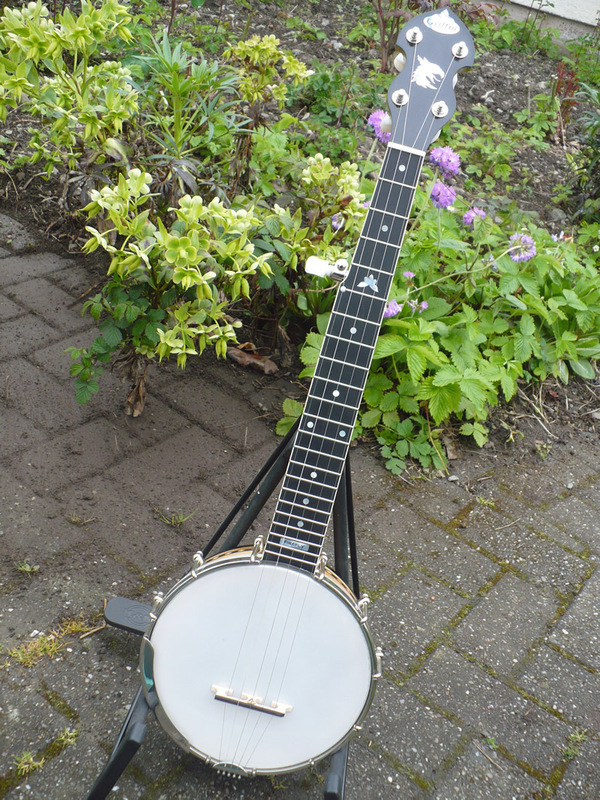 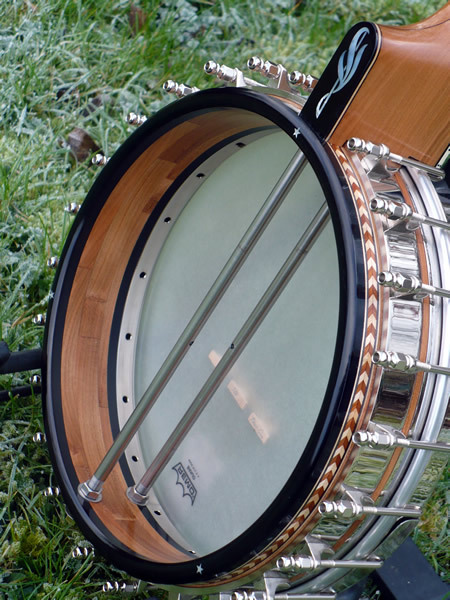 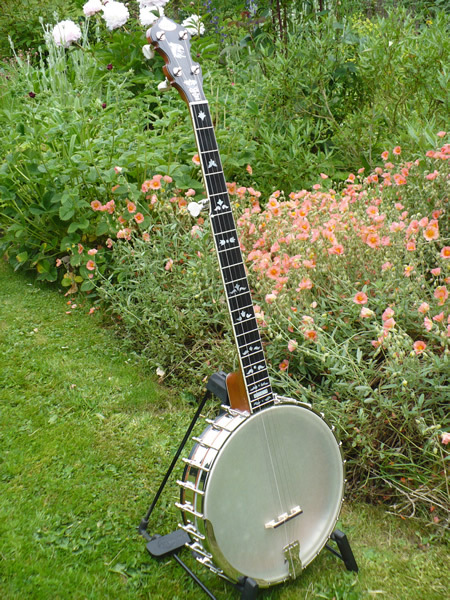 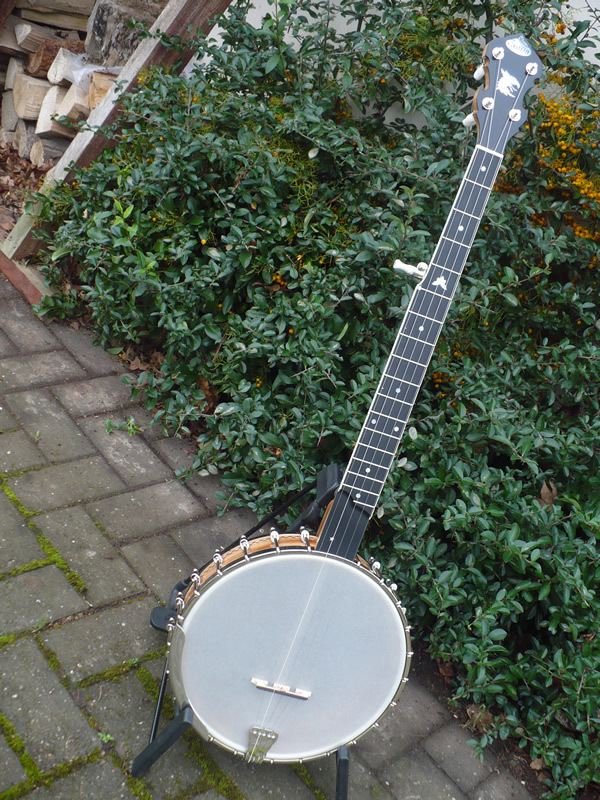 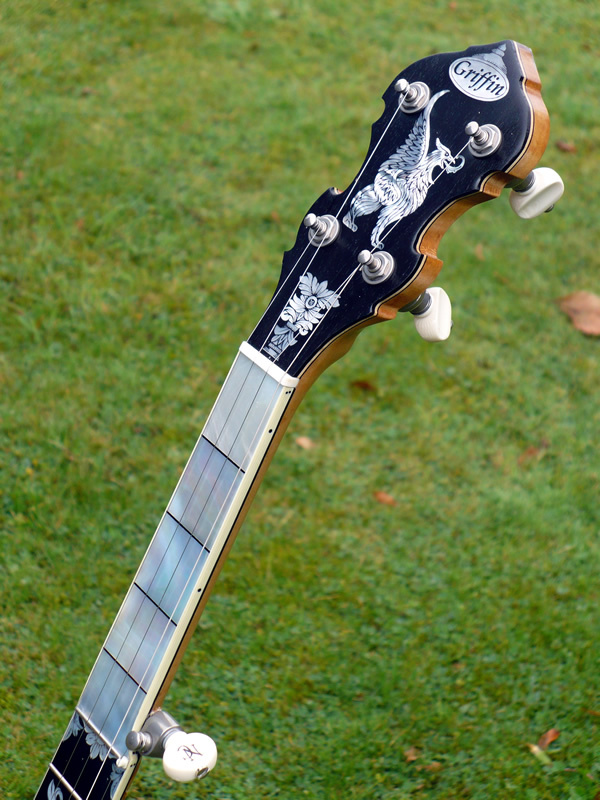 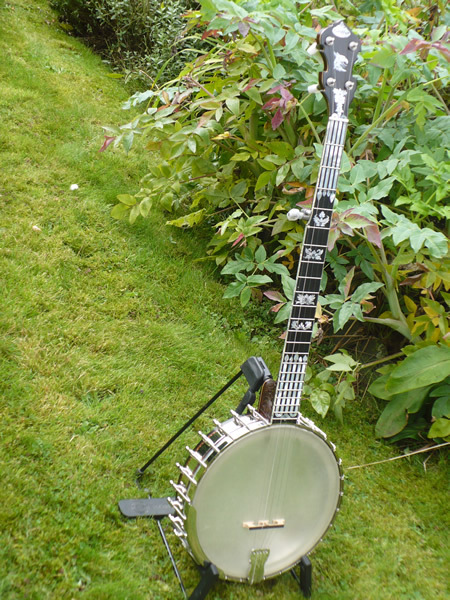 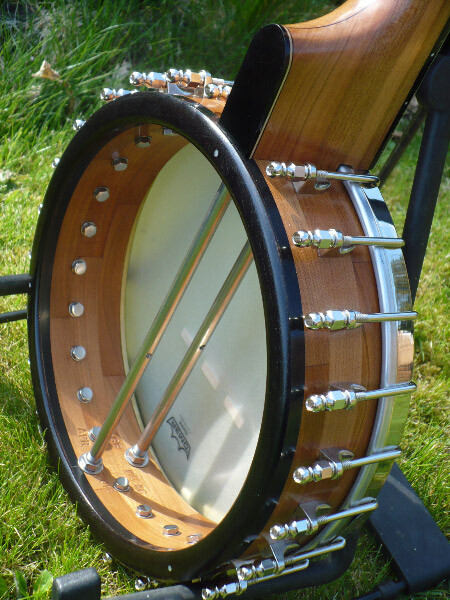 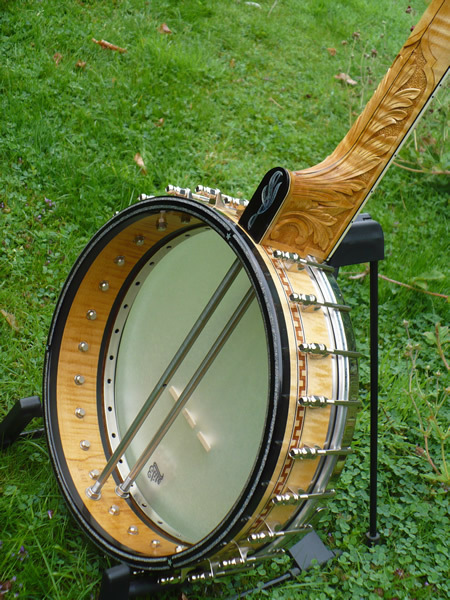 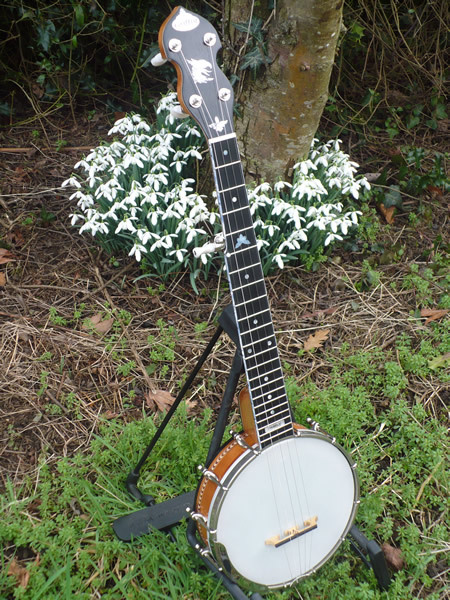 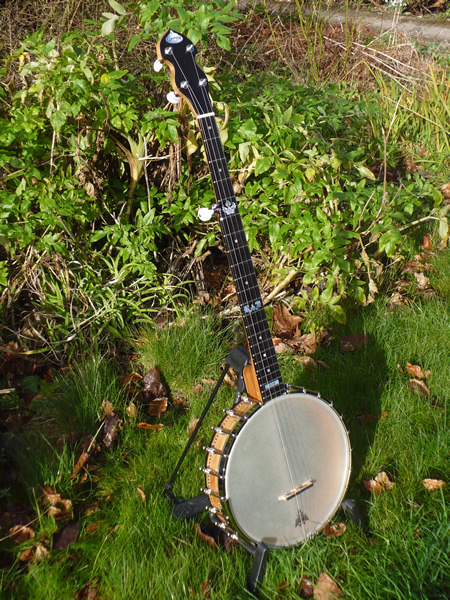 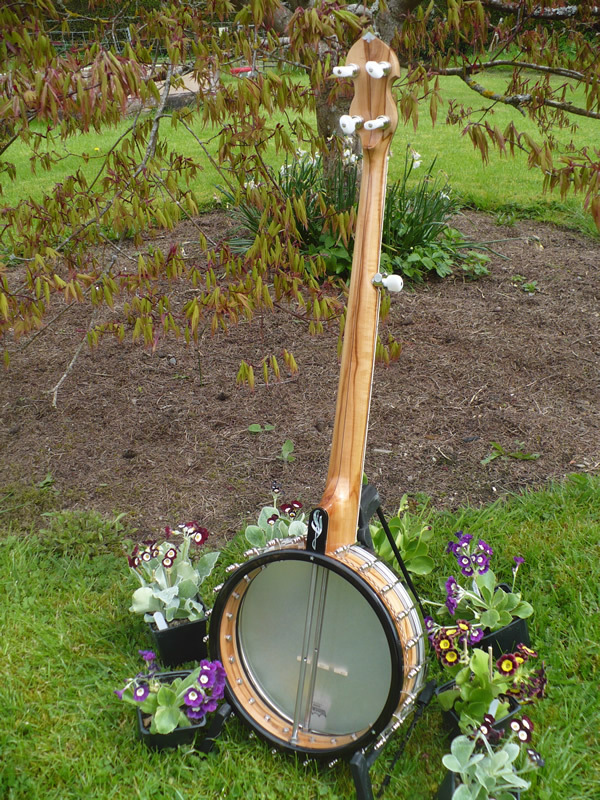 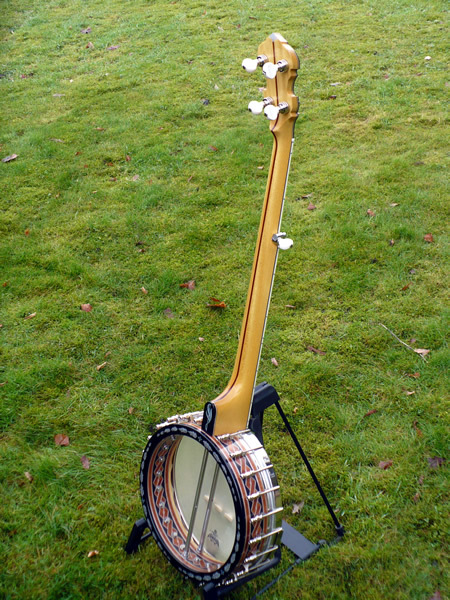 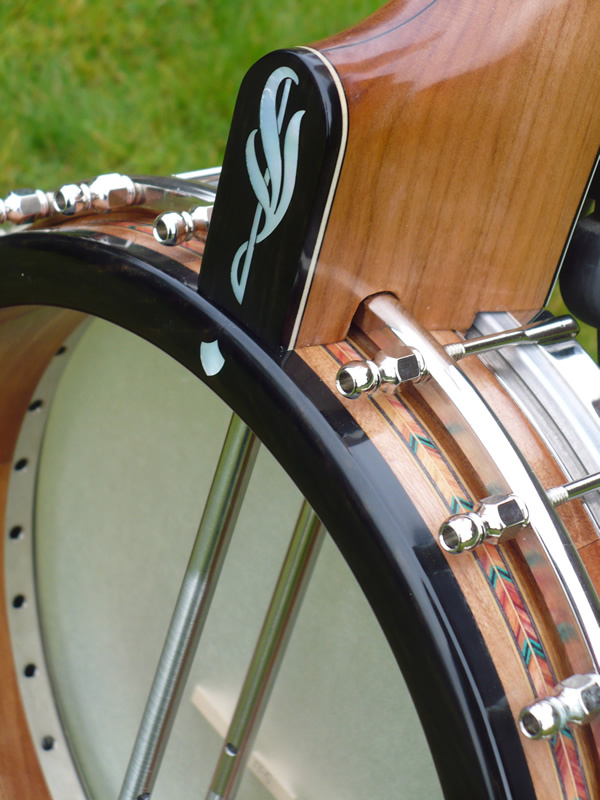 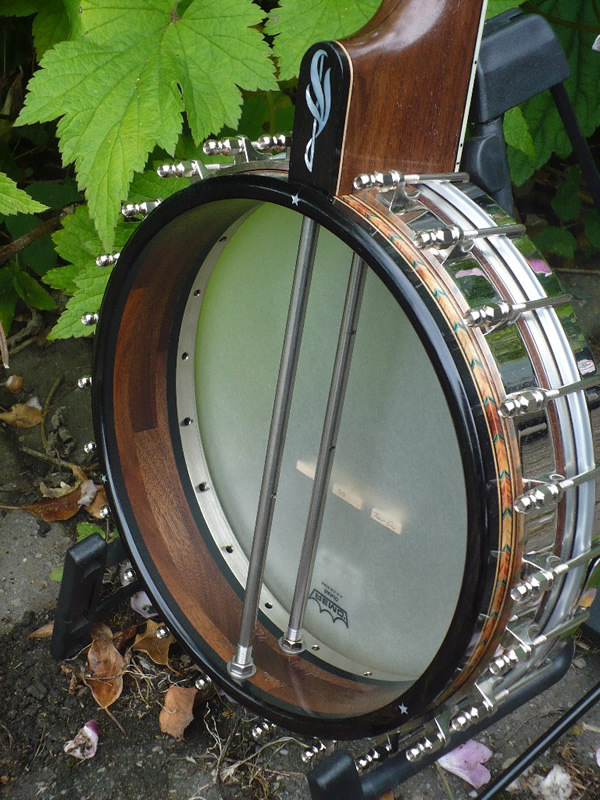 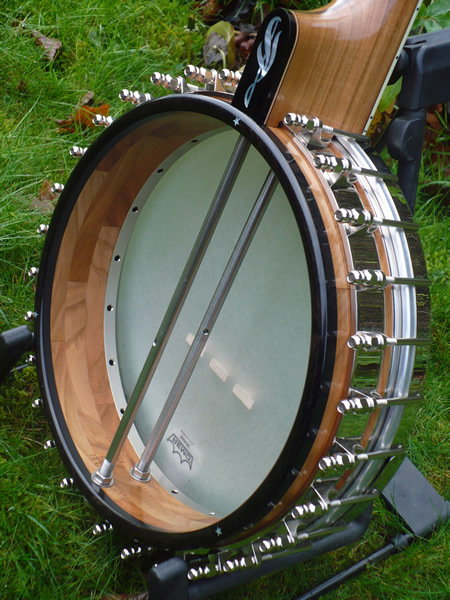 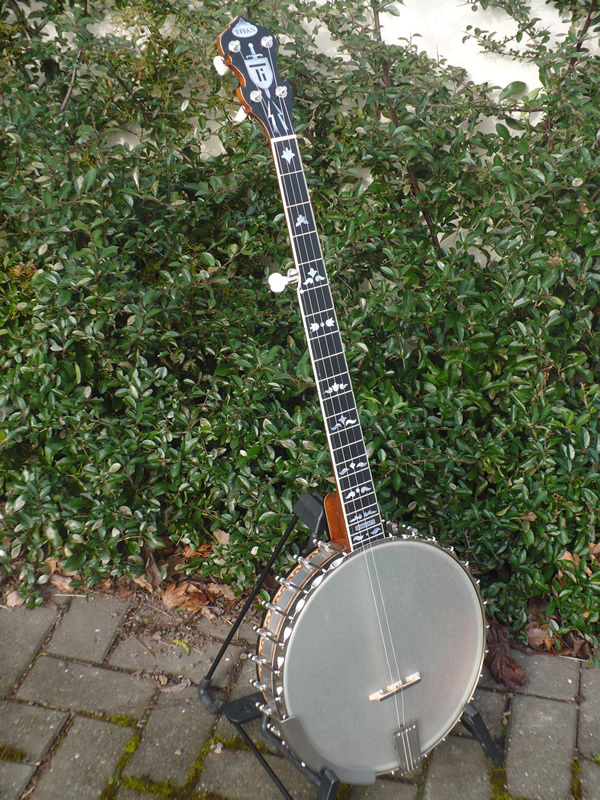 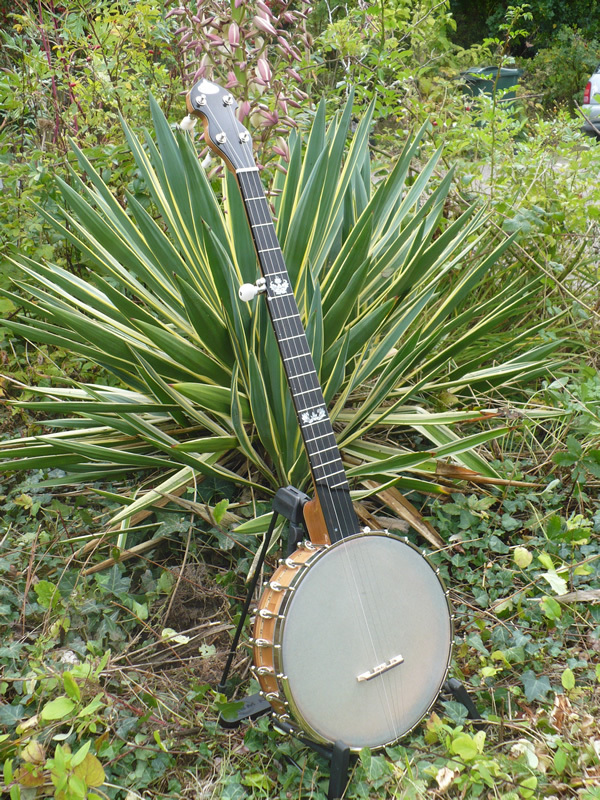 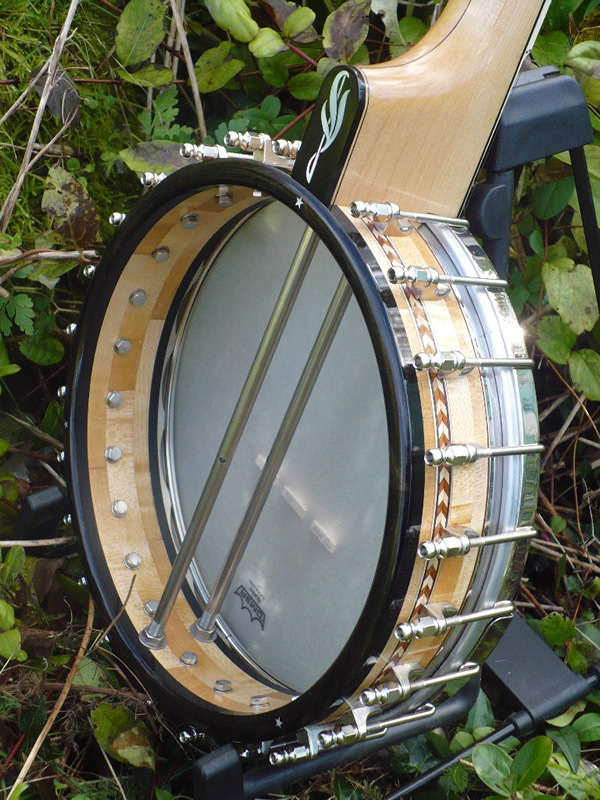 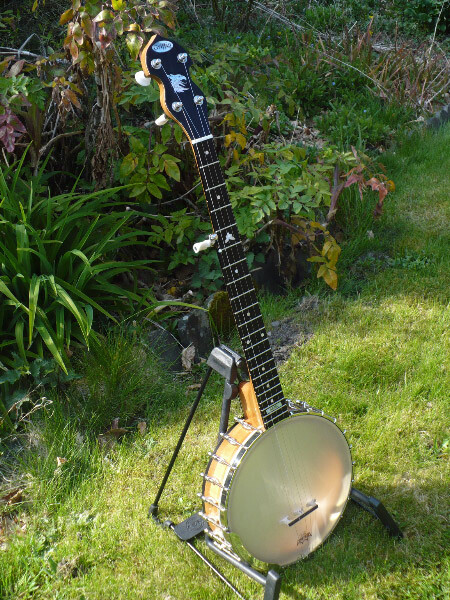 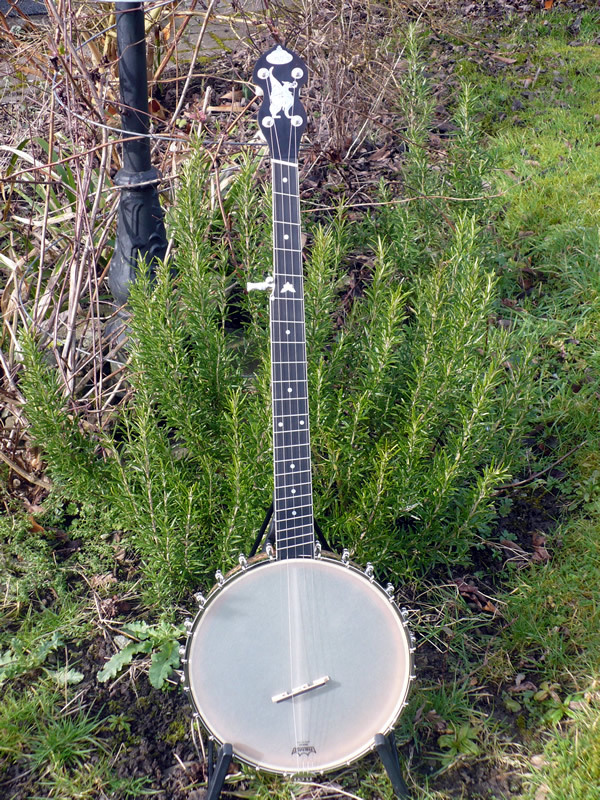 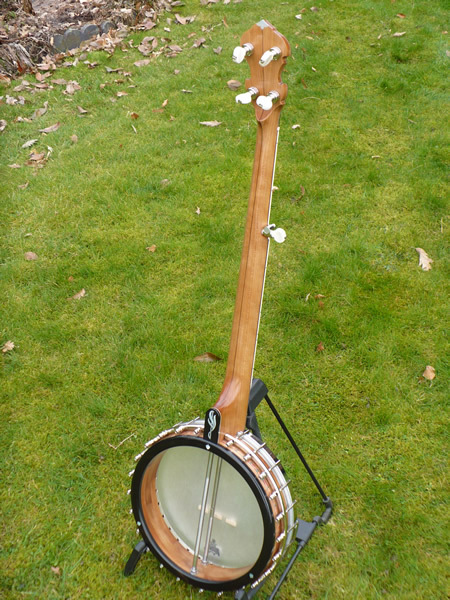 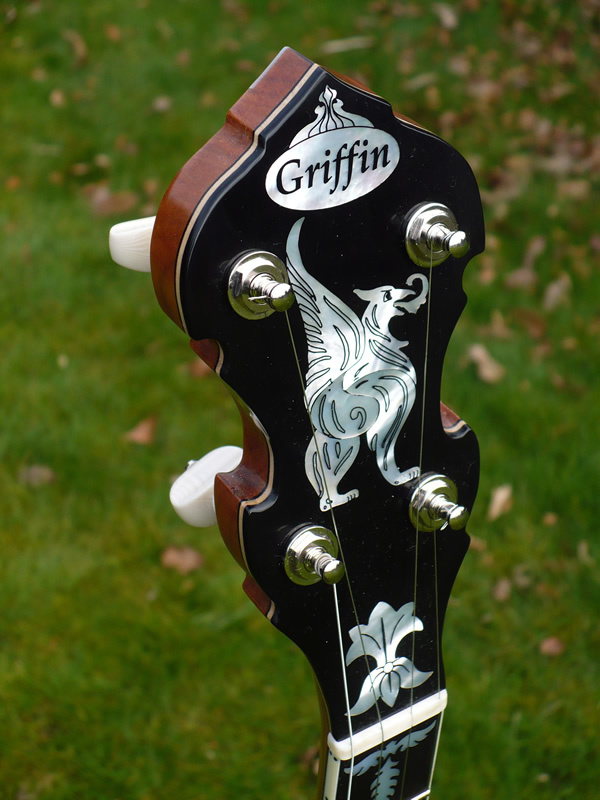 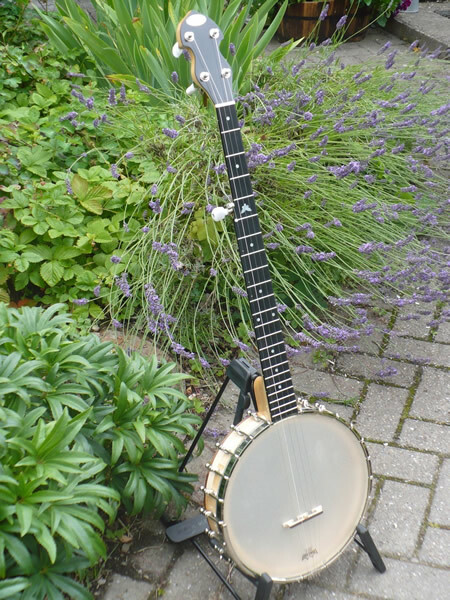 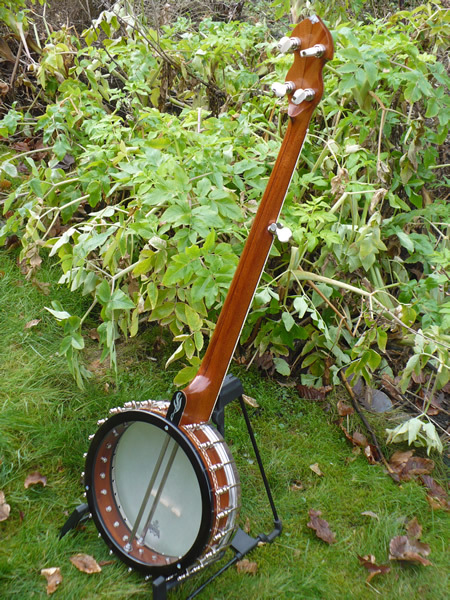 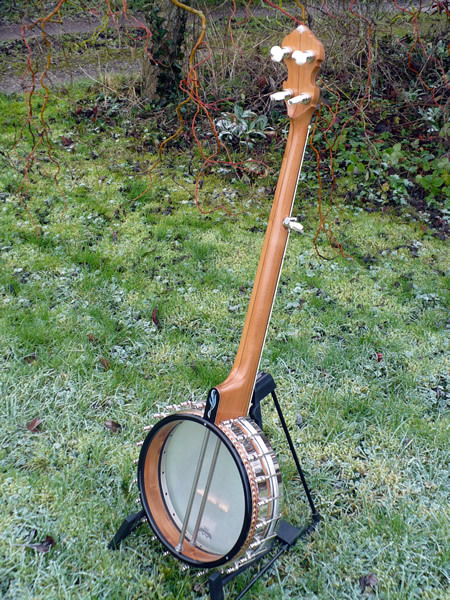 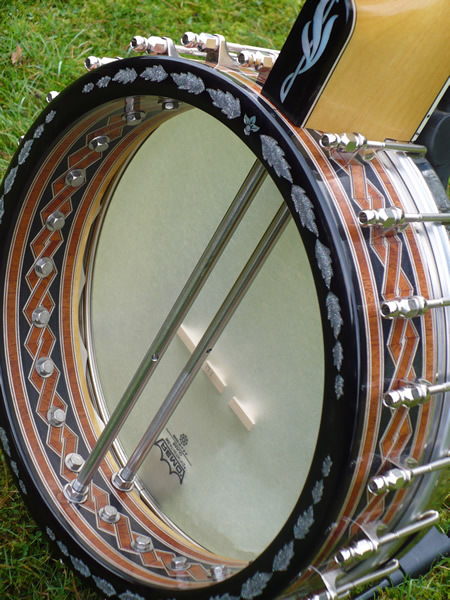 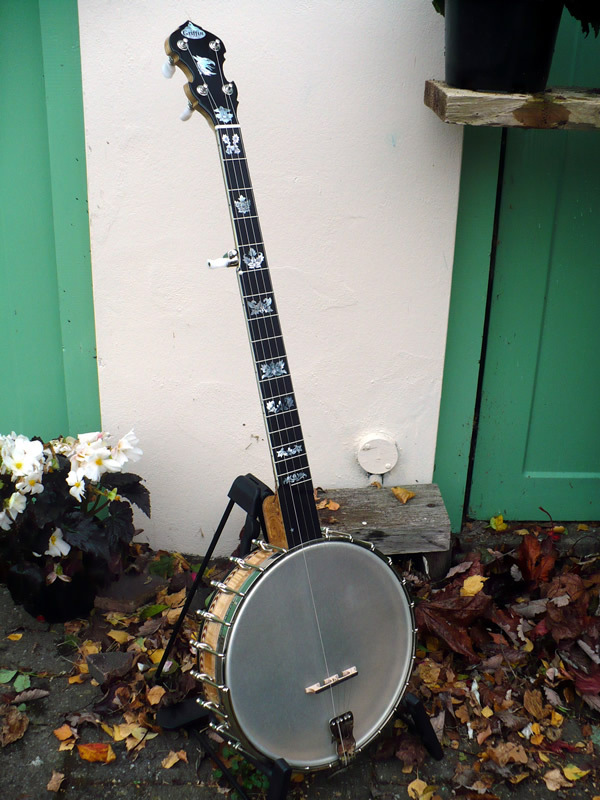 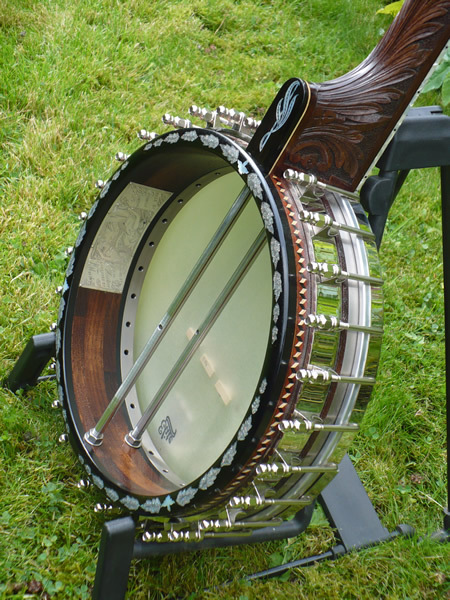 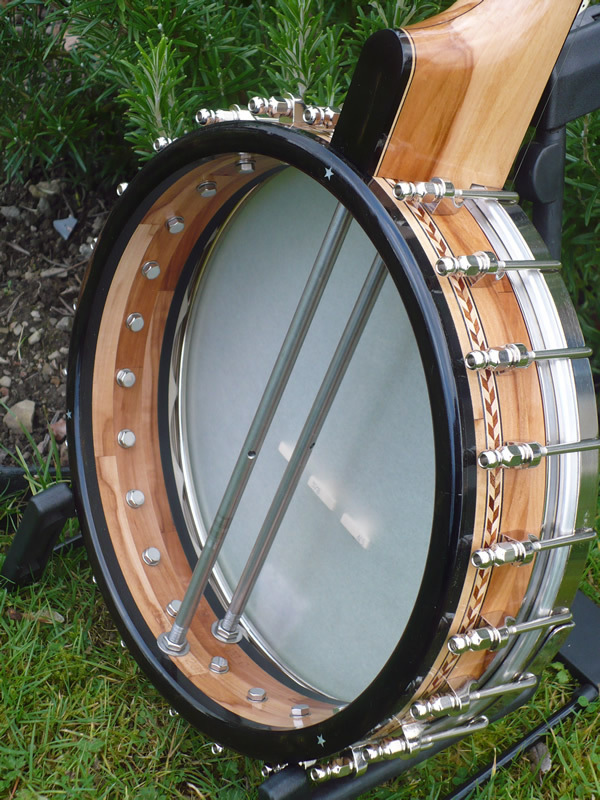 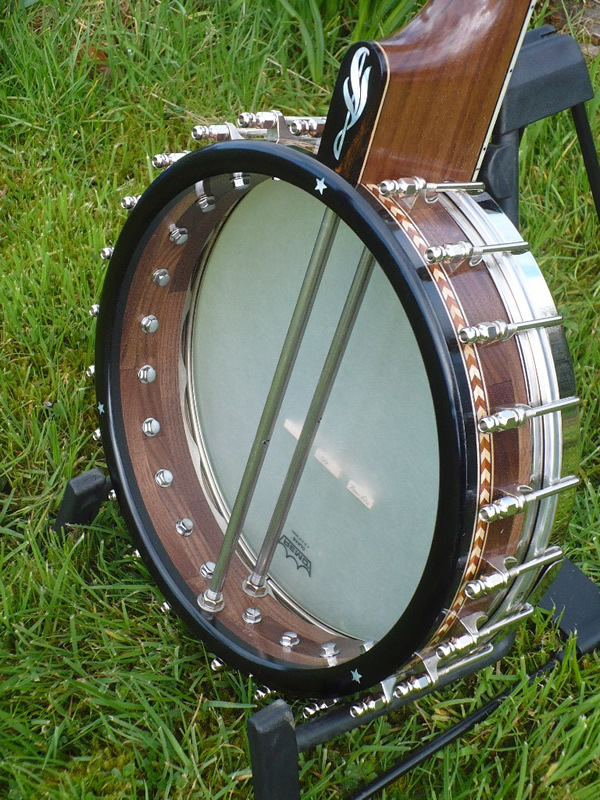 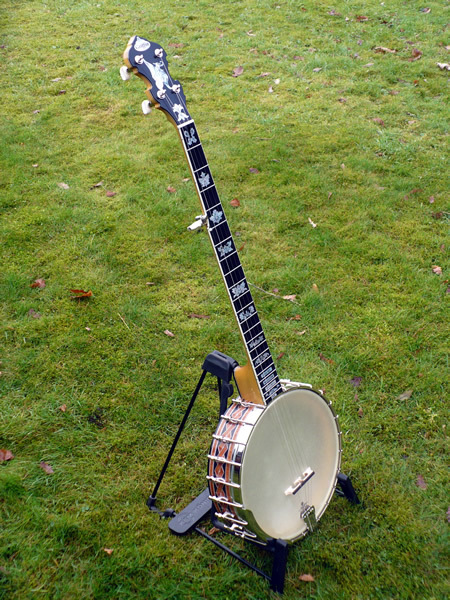 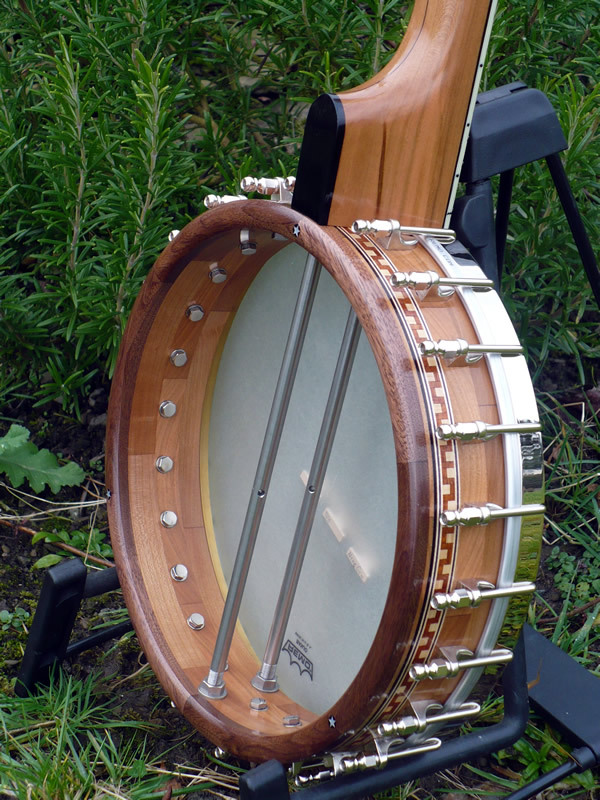 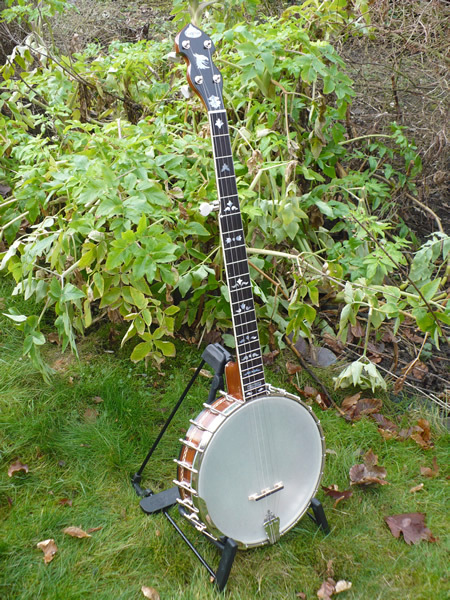 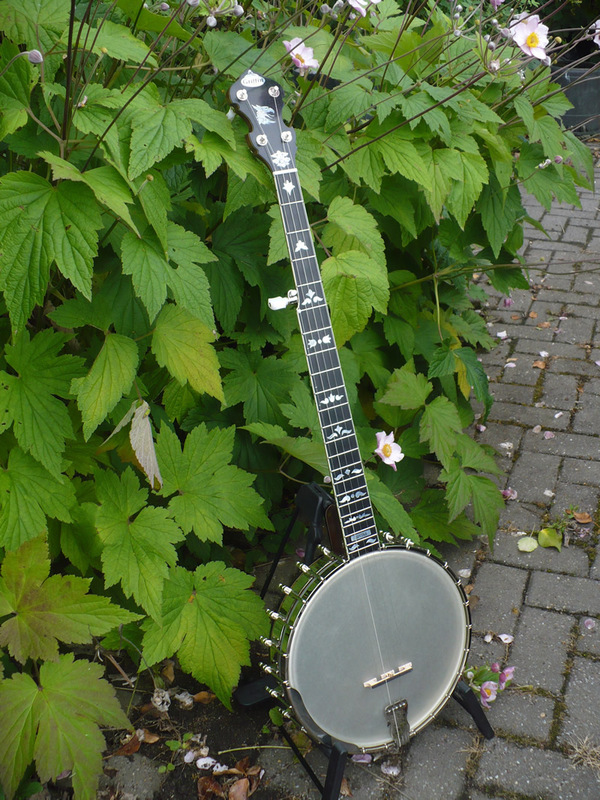 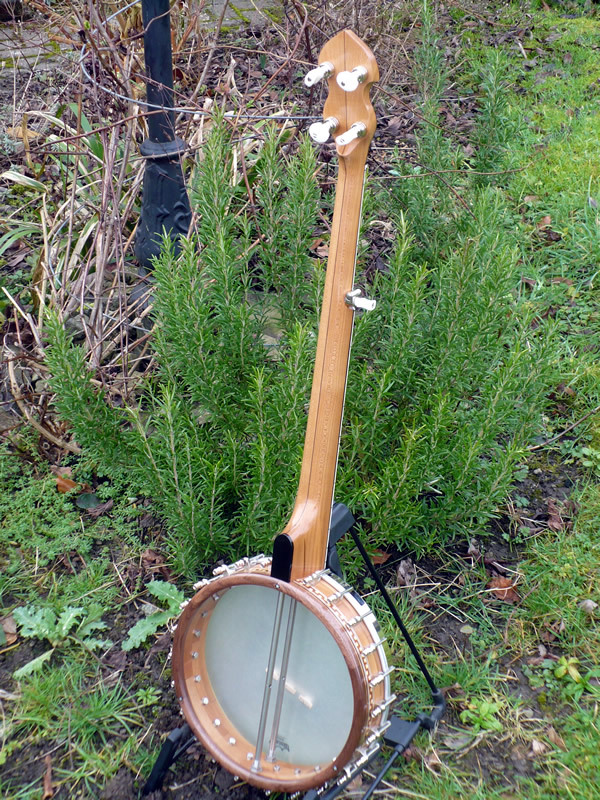 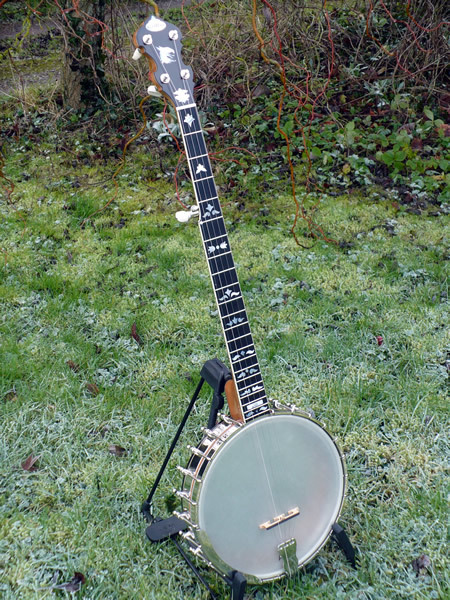 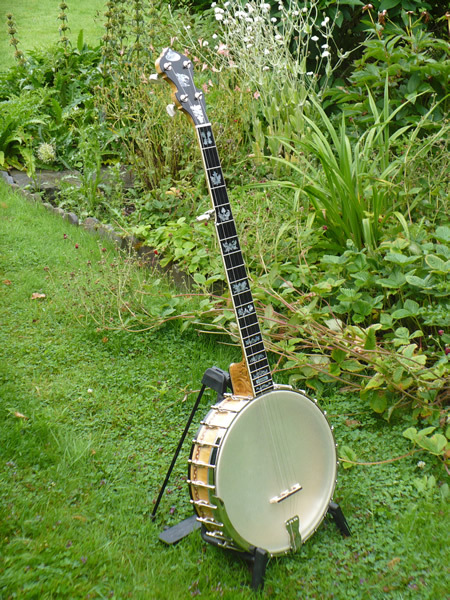 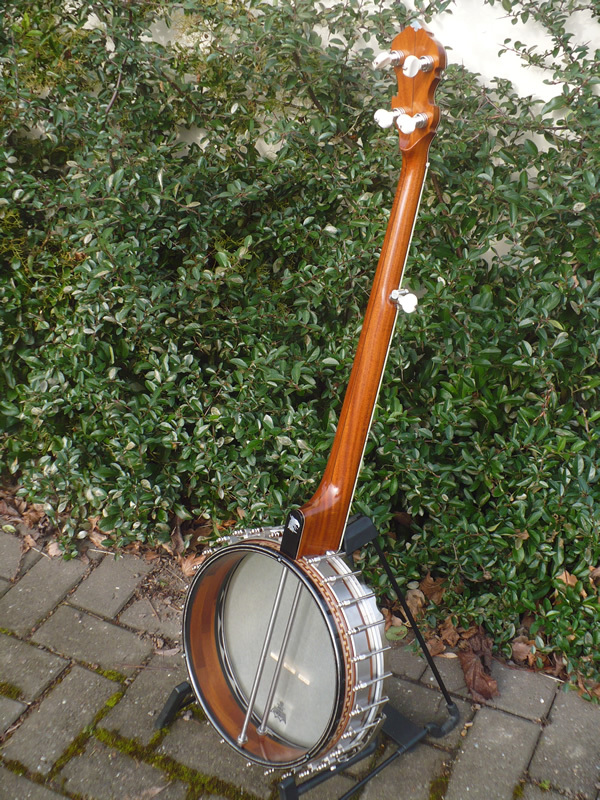 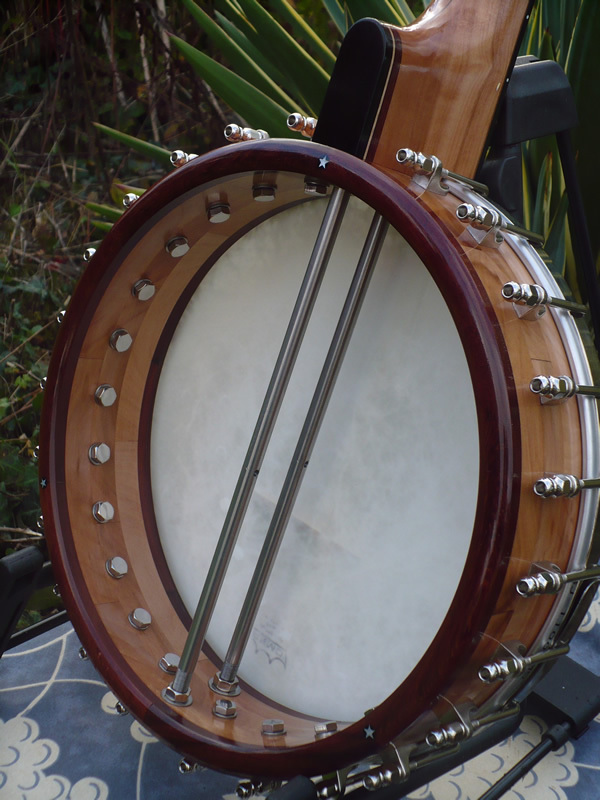 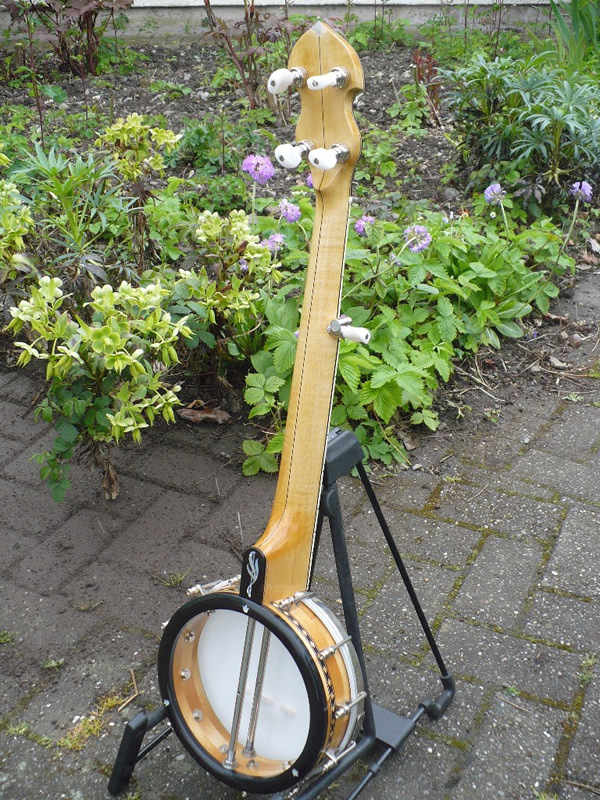 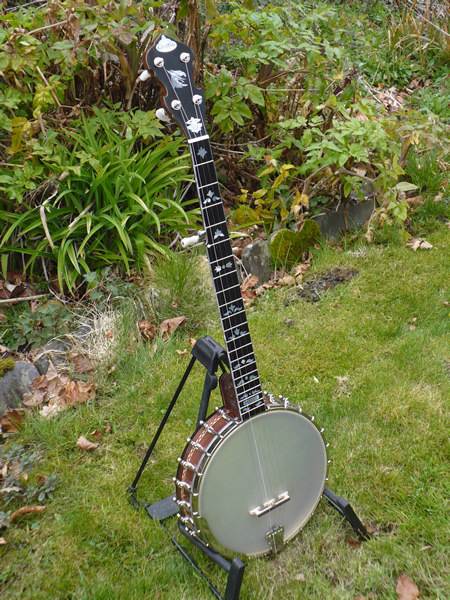 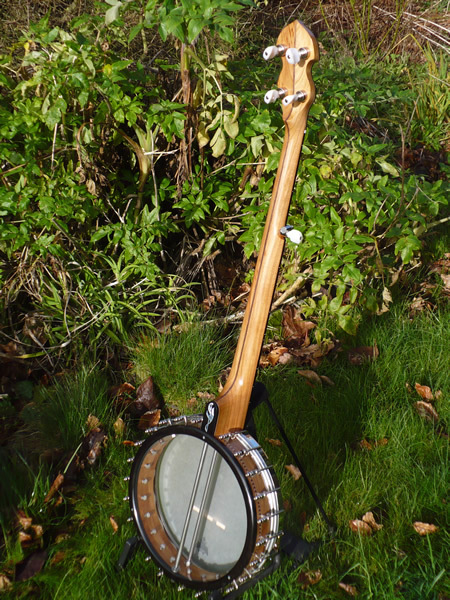 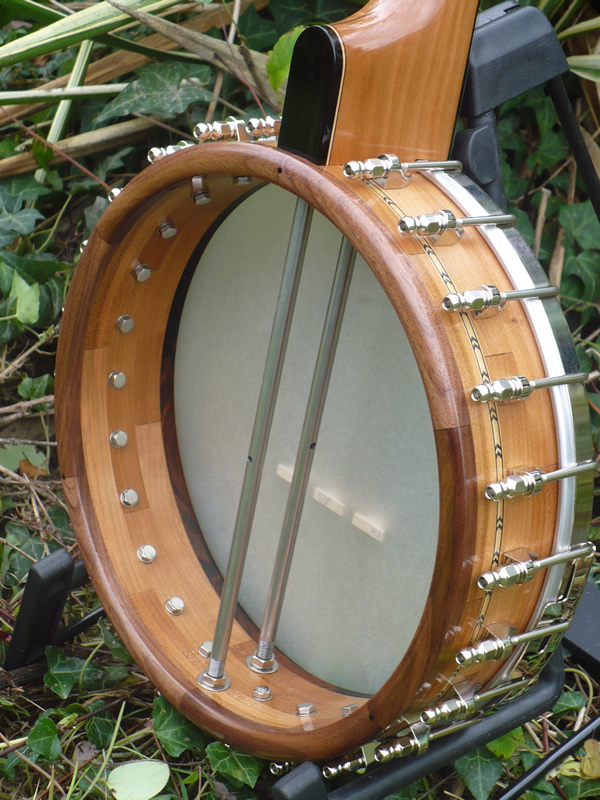 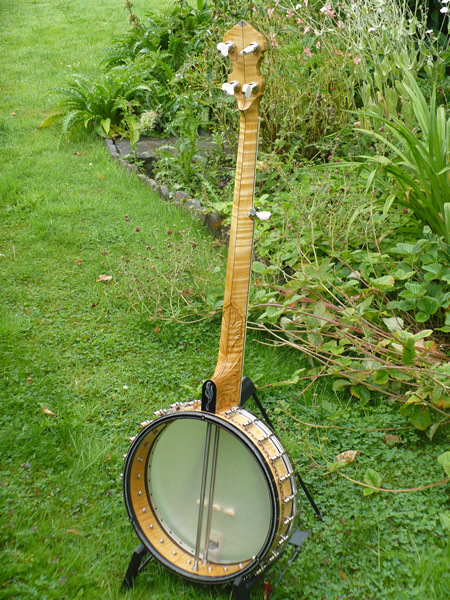 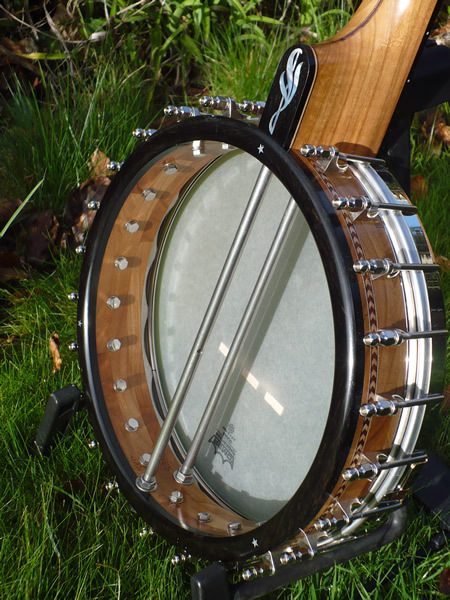 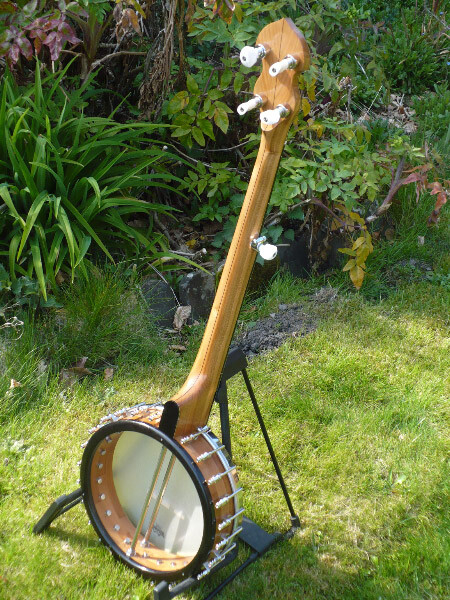 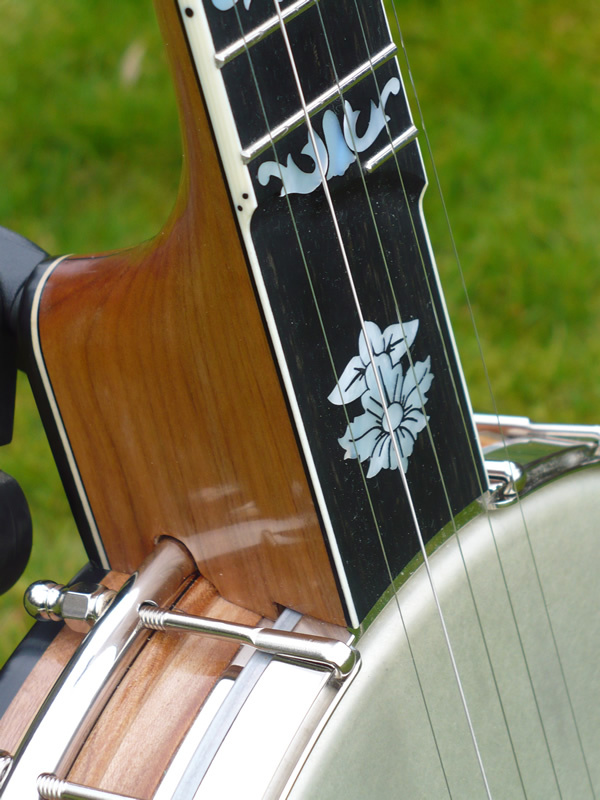 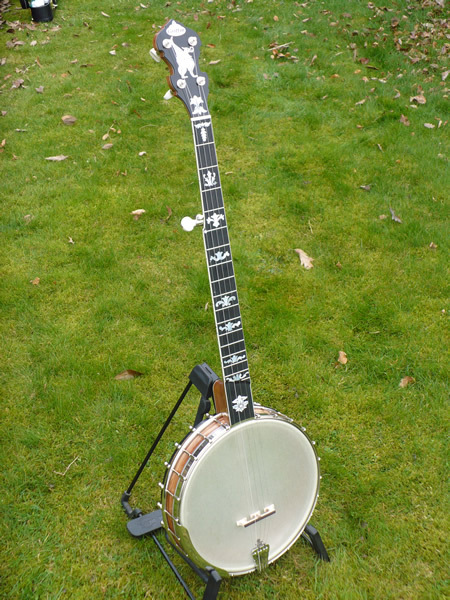 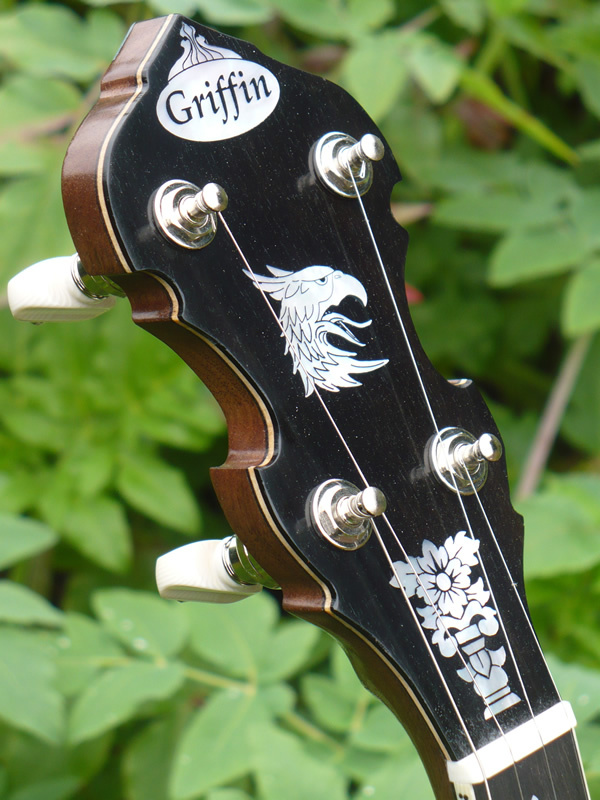 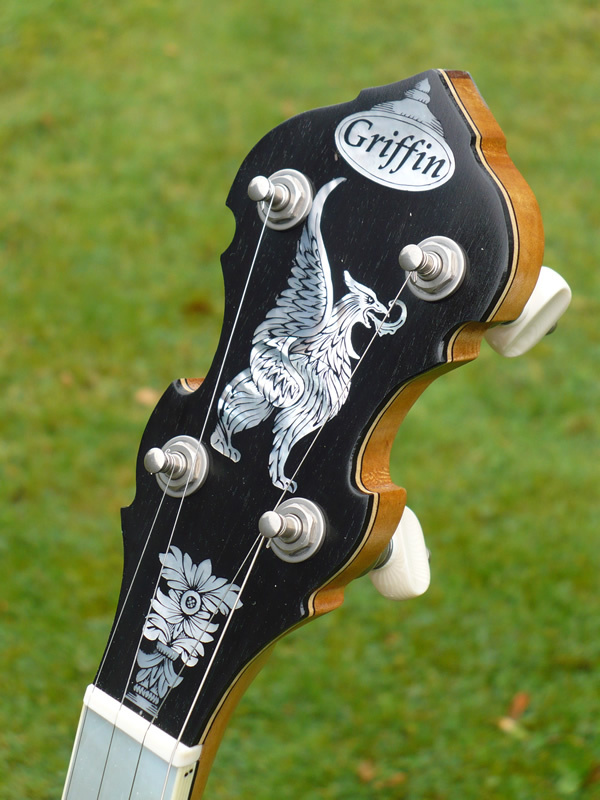 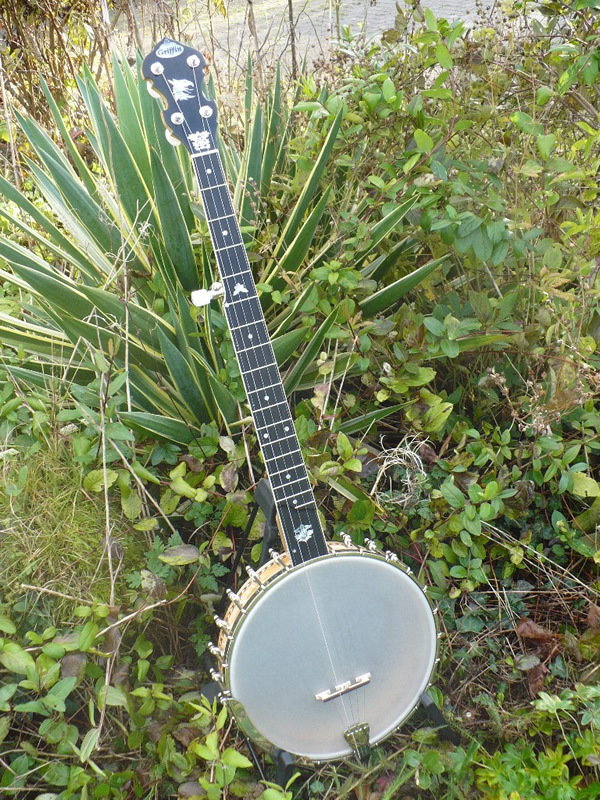 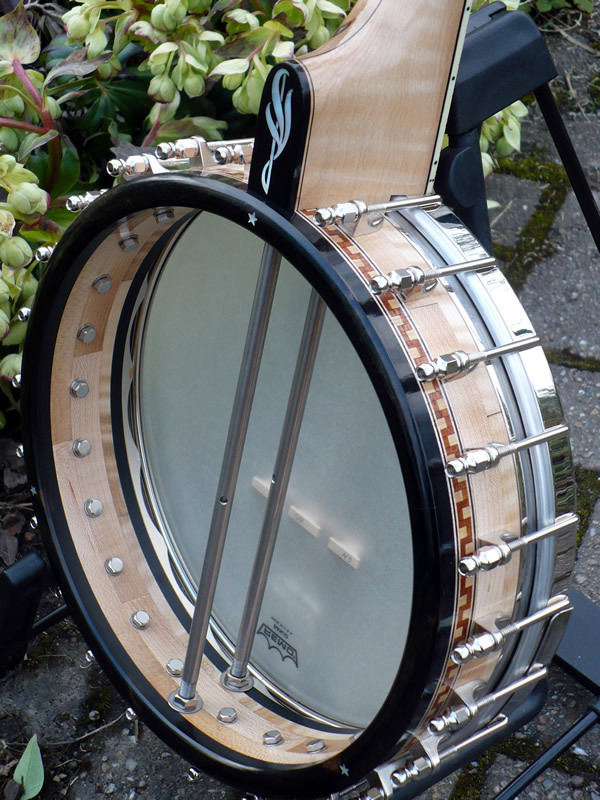 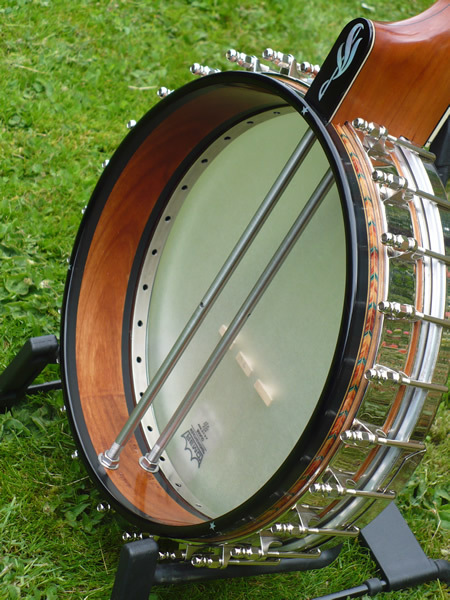 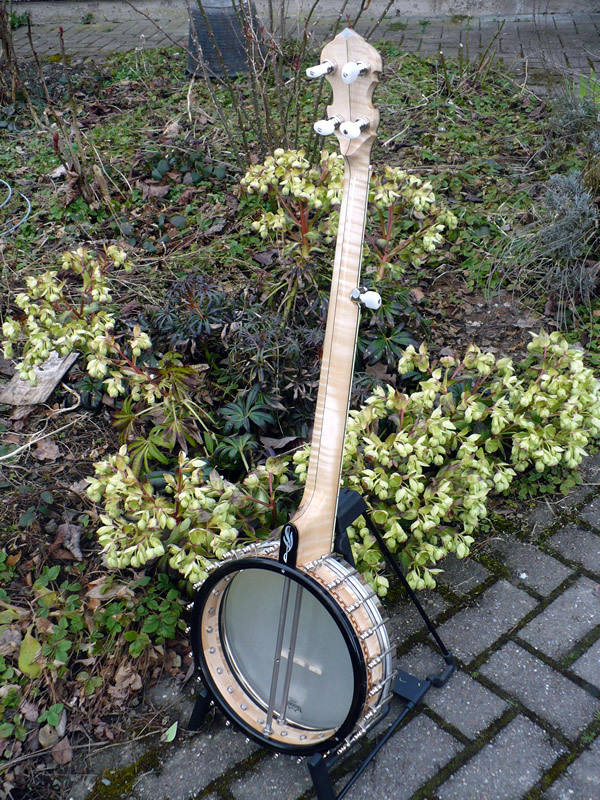 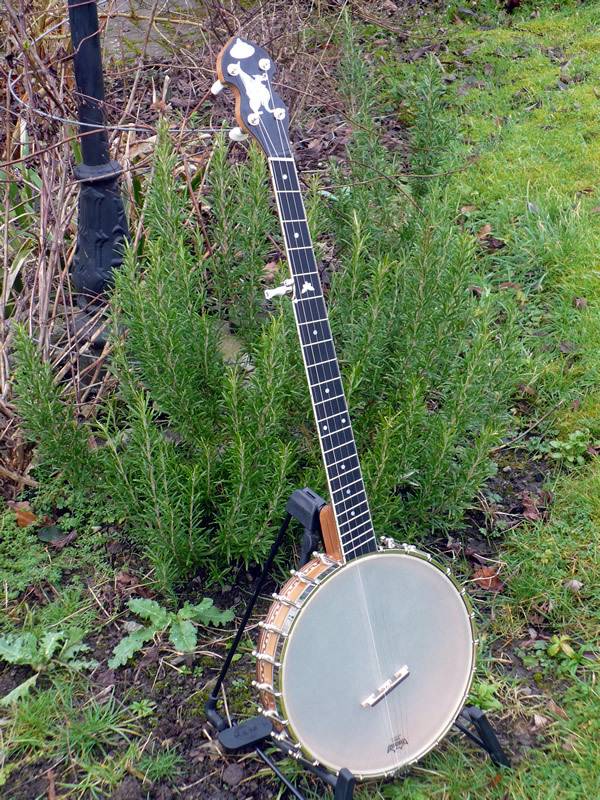 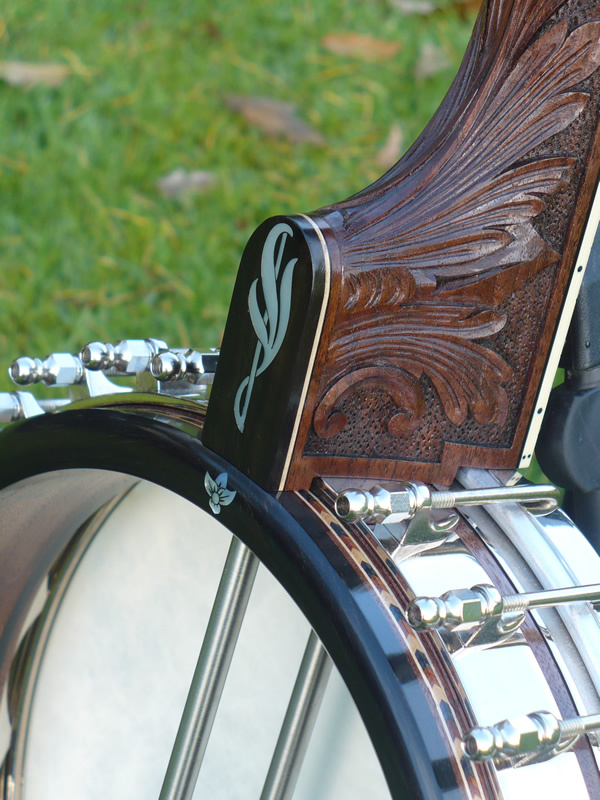 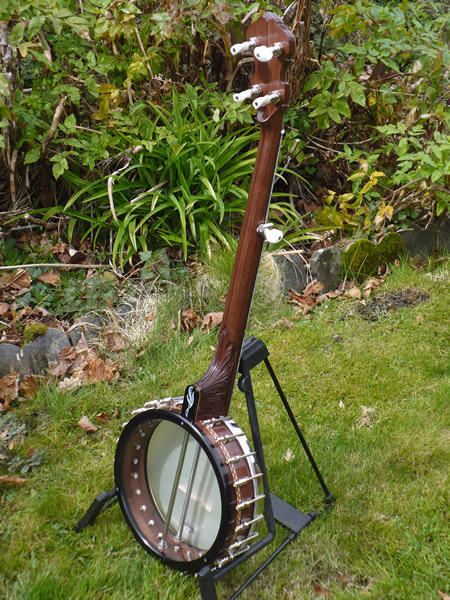 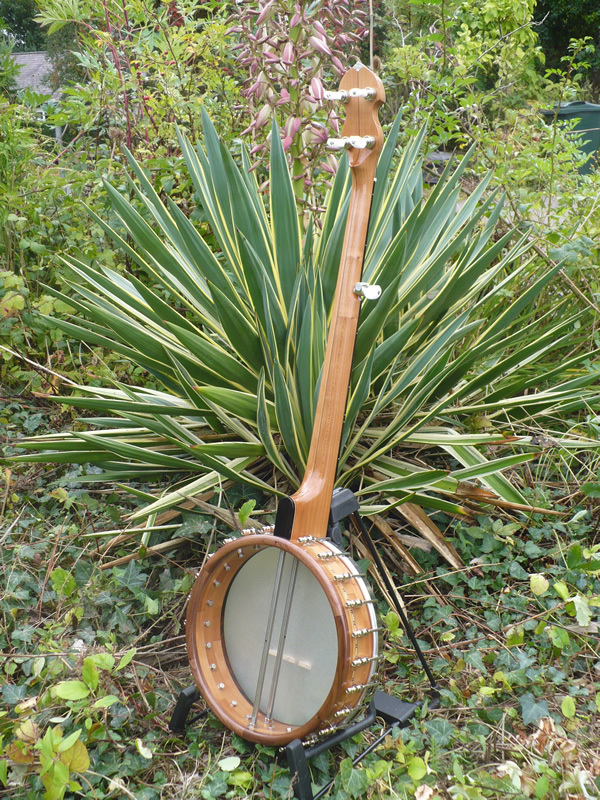 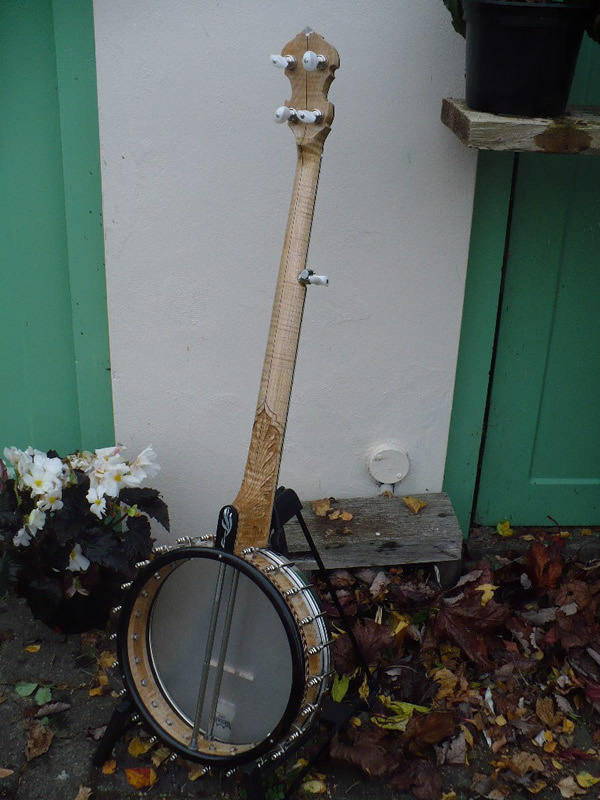 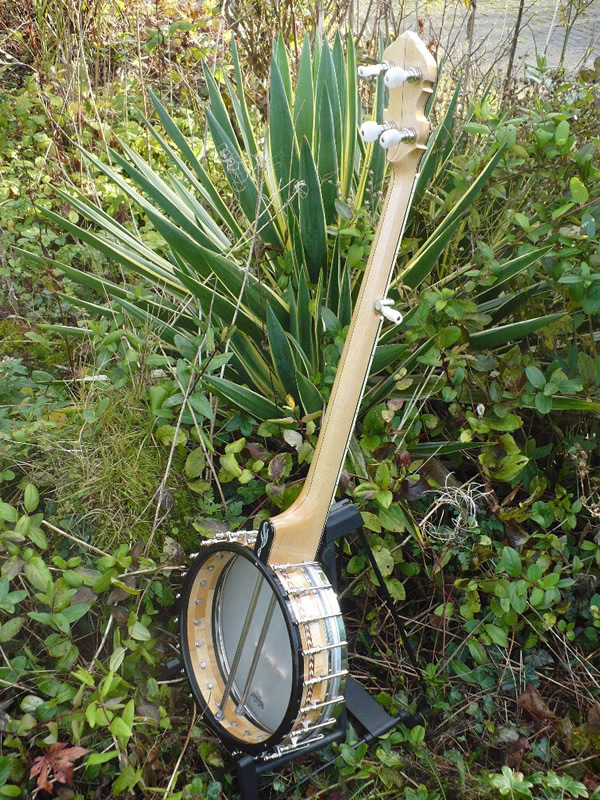 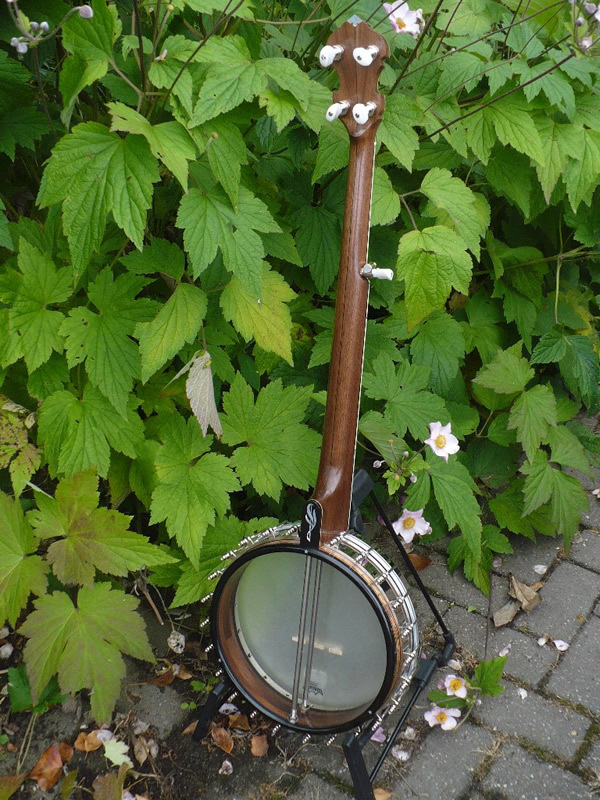 GB 189, Titan 'Sundance', old mahogany, with a 12 inch titanium Whyte Laydie tone ring, custom made for Titan Banjos.
. . . Pomona was the Roman goddess of fruit (hence the French word for apple) and the banjo is in applewood. 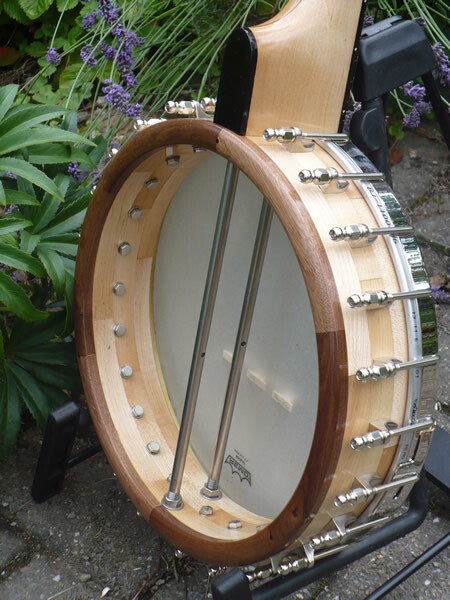 11", Tubaphone, walnut, shoe band. 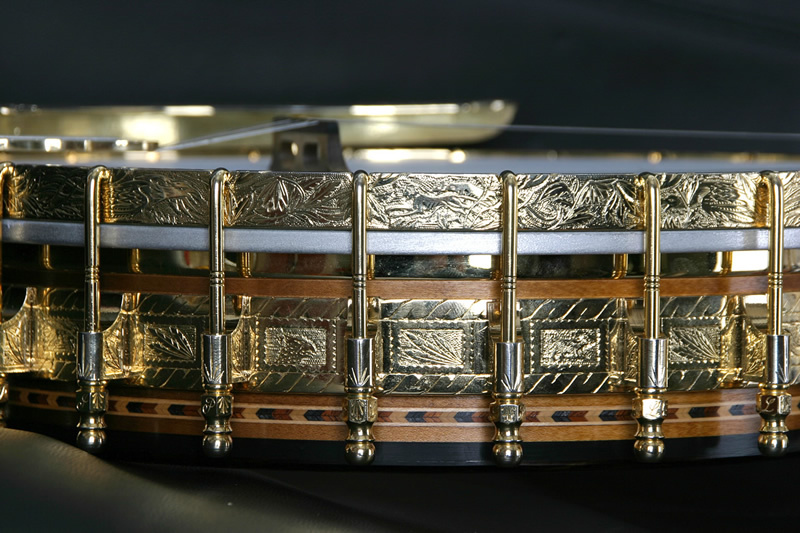 8" 'Firefly', brass ring, maple. 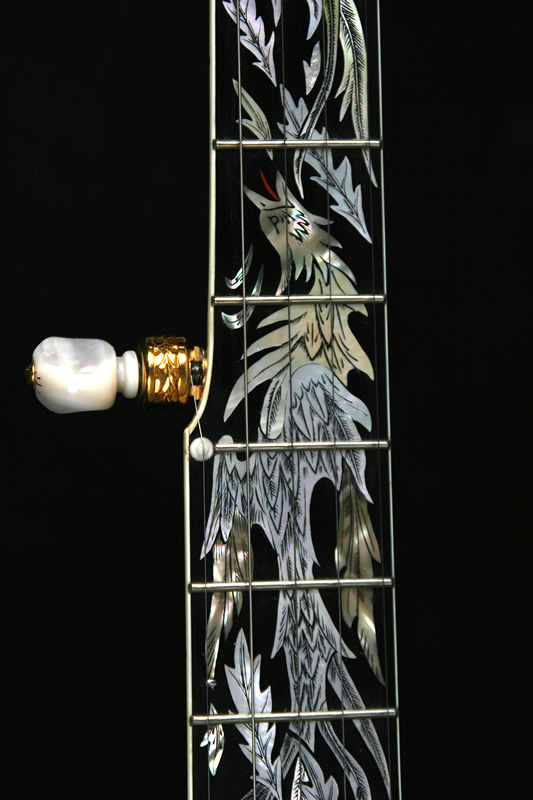 8" 'Firefly', brass ring, cherry. 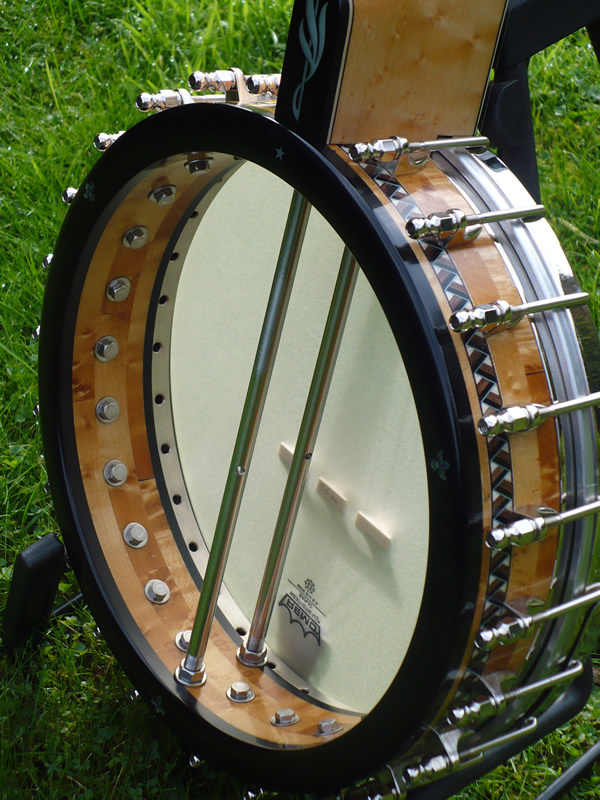 11", Tubaphone, cherry, shoe band. 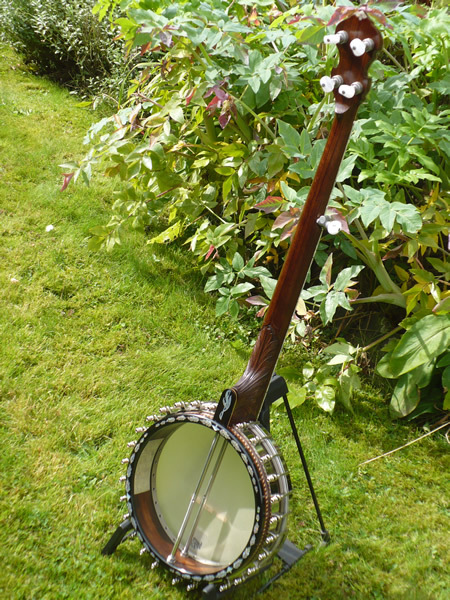 11", Whyte Laydie, English cherry. 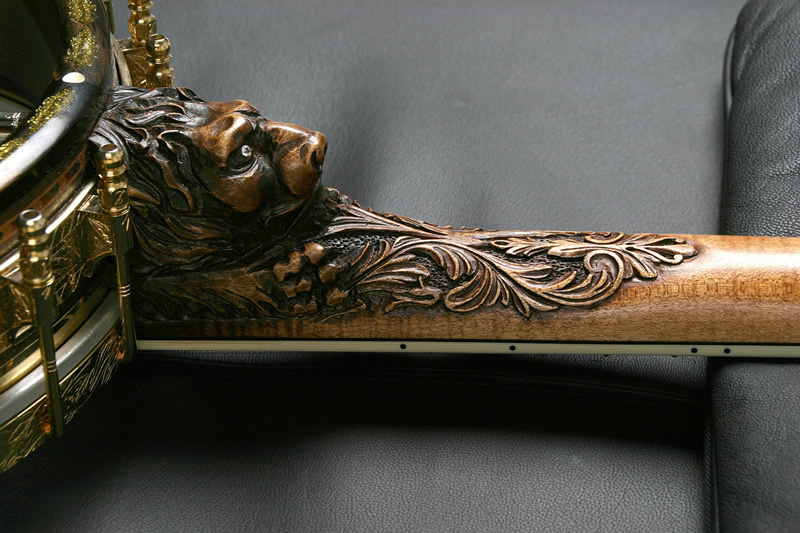 10", brass ring, walnut, carved heel. 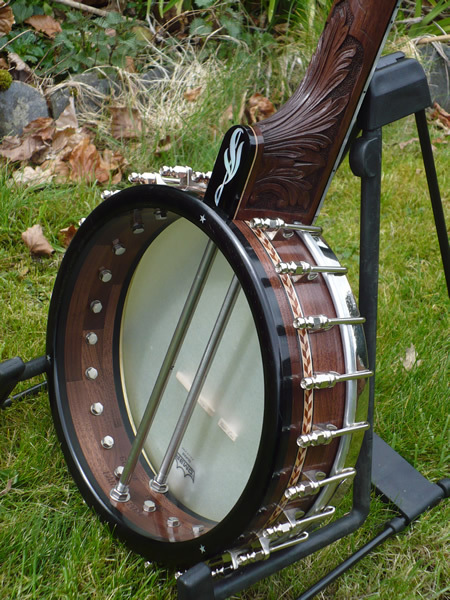 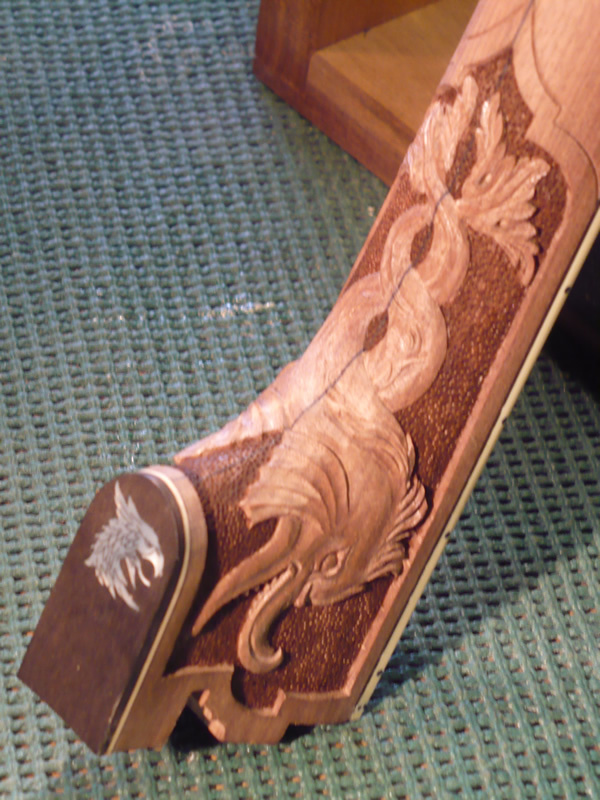 11", Titanium SP, walnut, carved heel, shoe band, rim cap inlays. 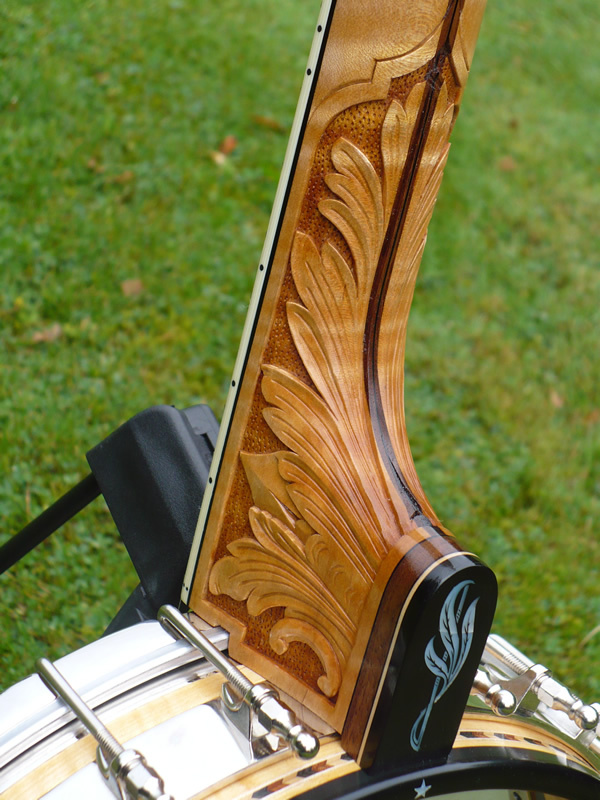 12", Tubaphone, curly maple, carved heel. 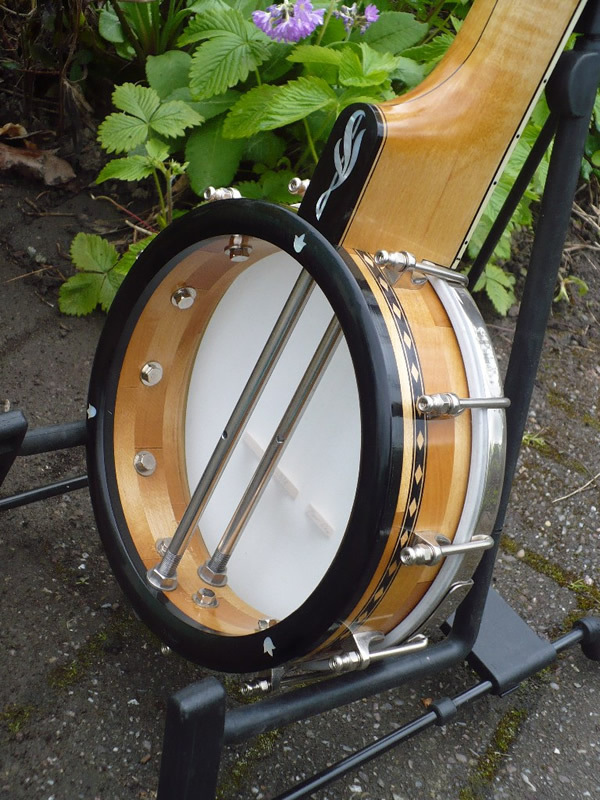 12", Tubaphone, cherry, shoe band. 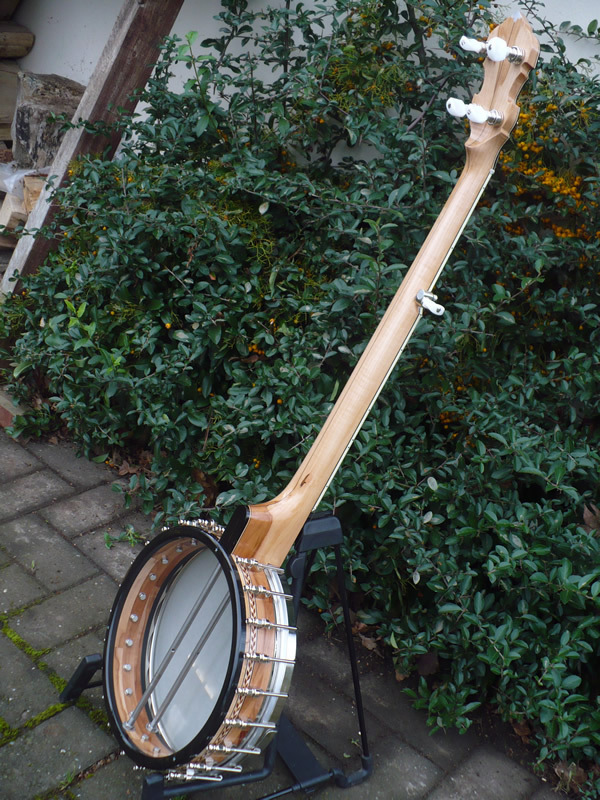 11", Tubaphone, cherry, bracket tube, scoop.